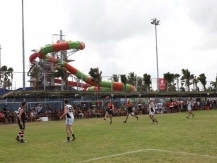 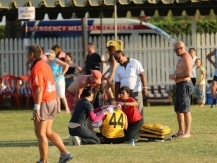 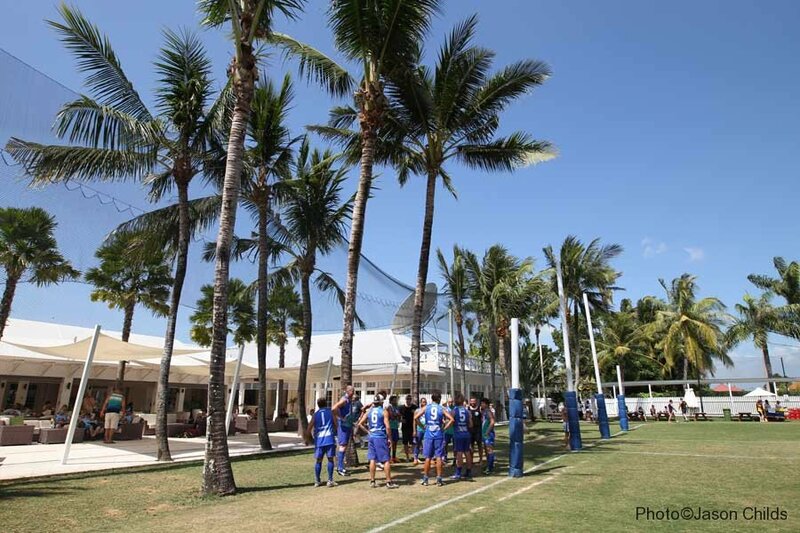 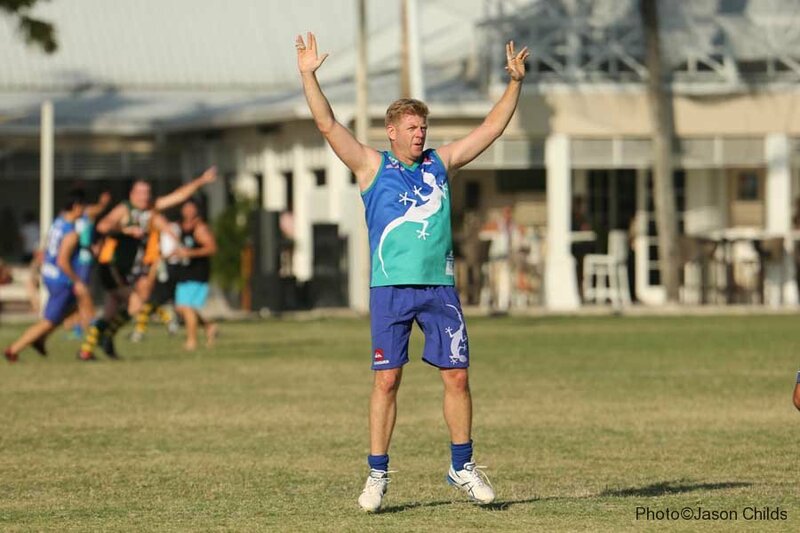 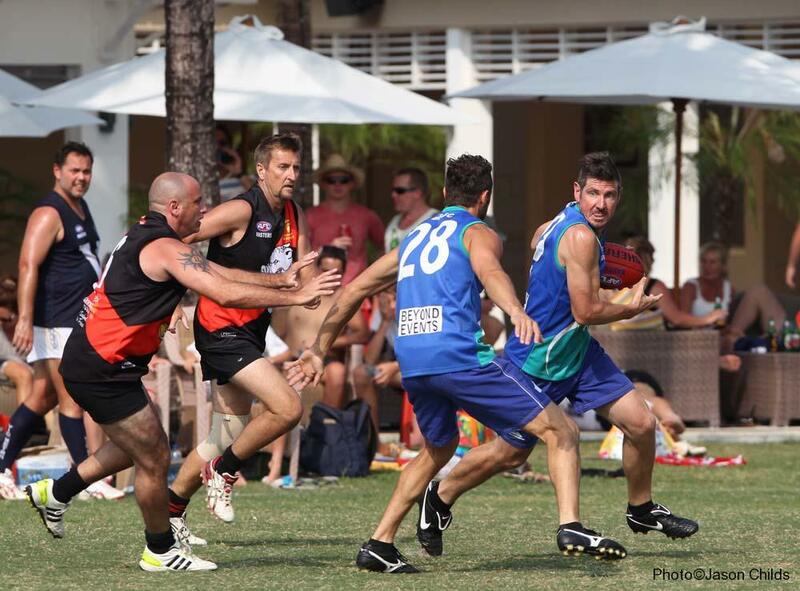 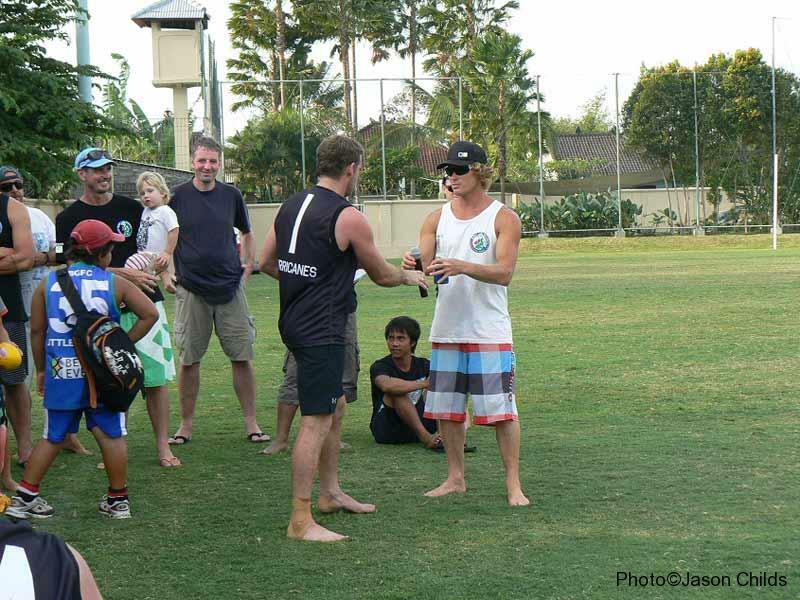 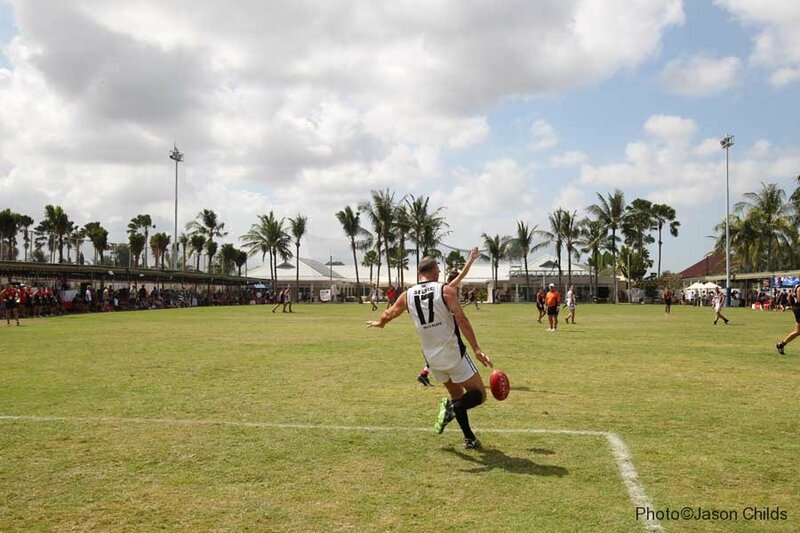 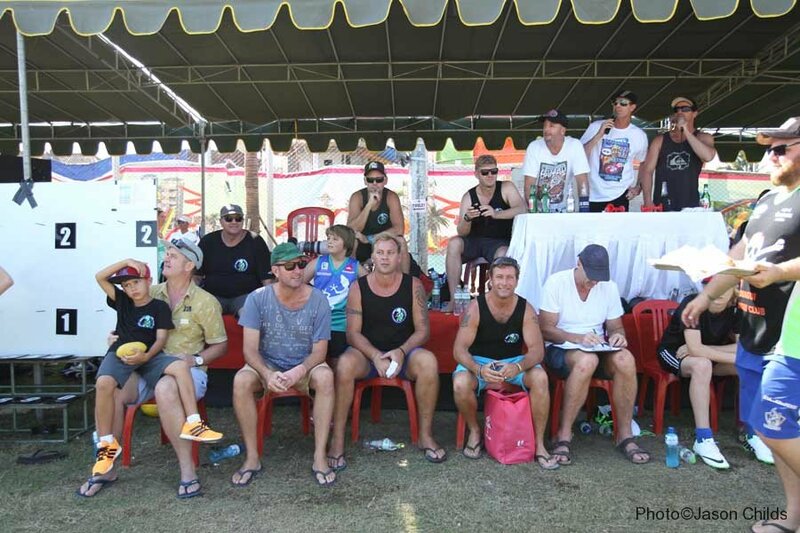 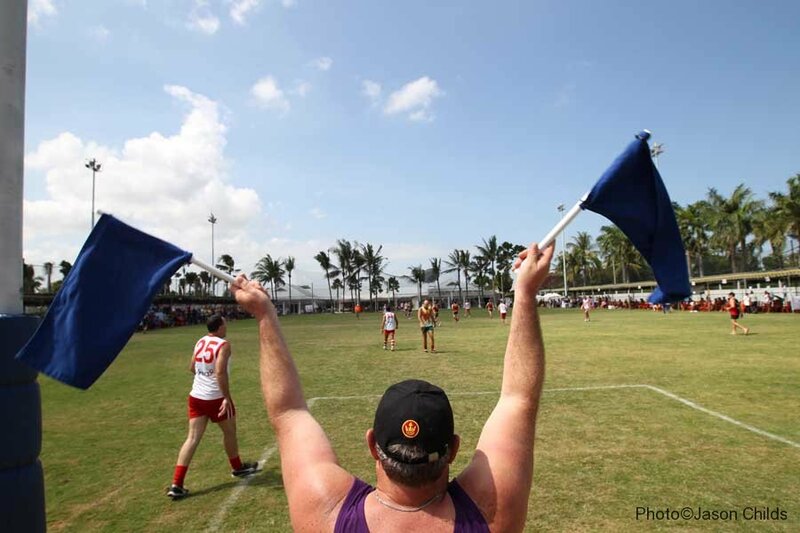 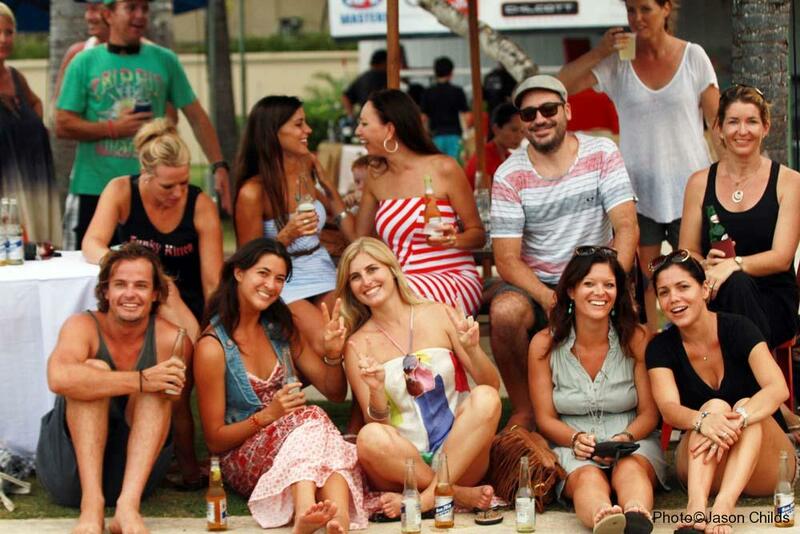 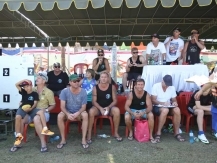 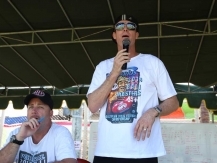 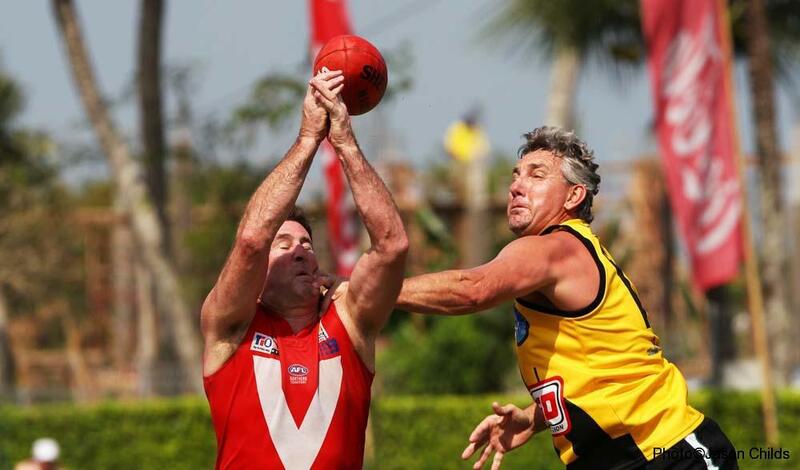 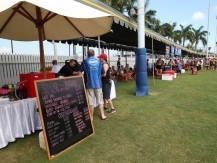 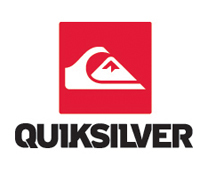 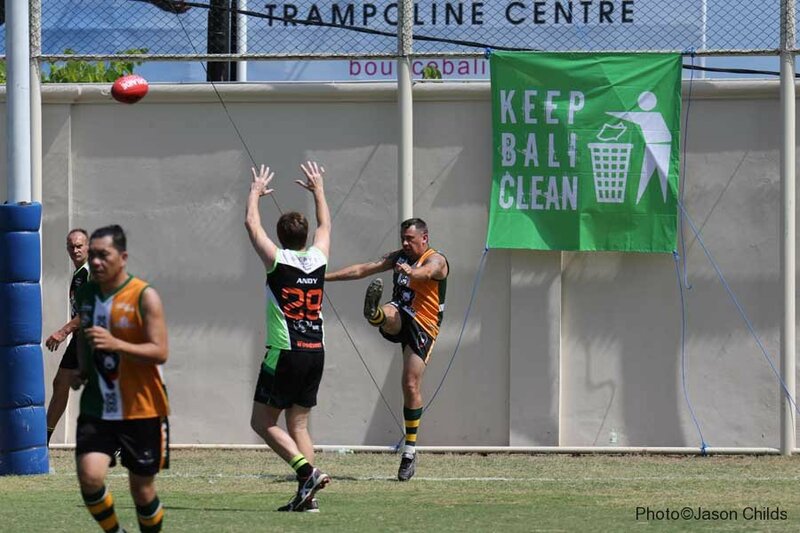 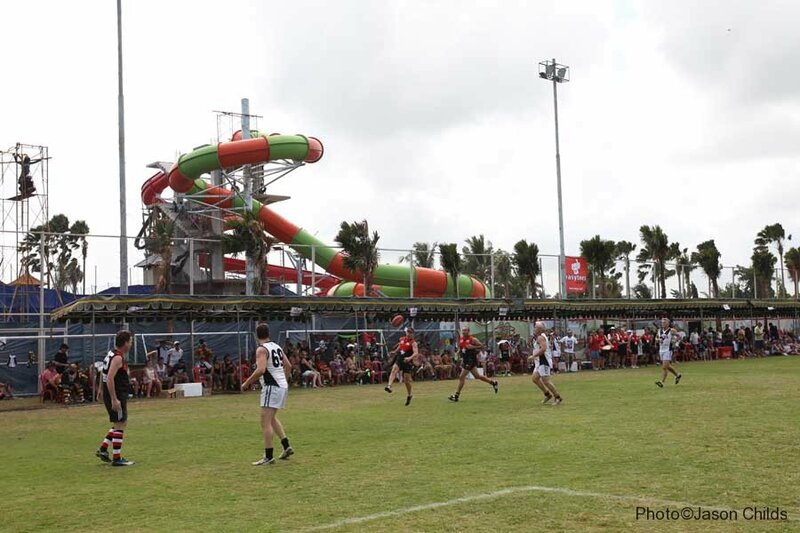 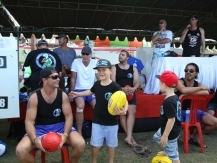 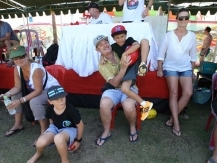 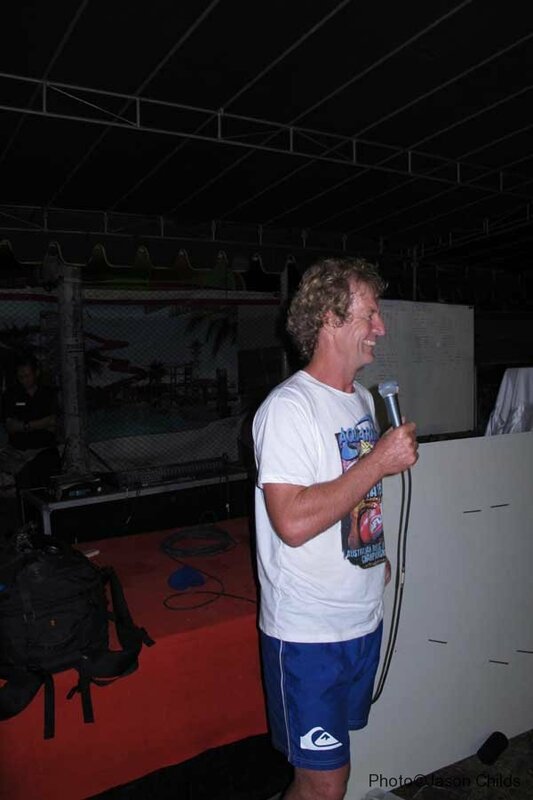 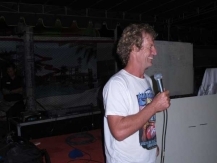 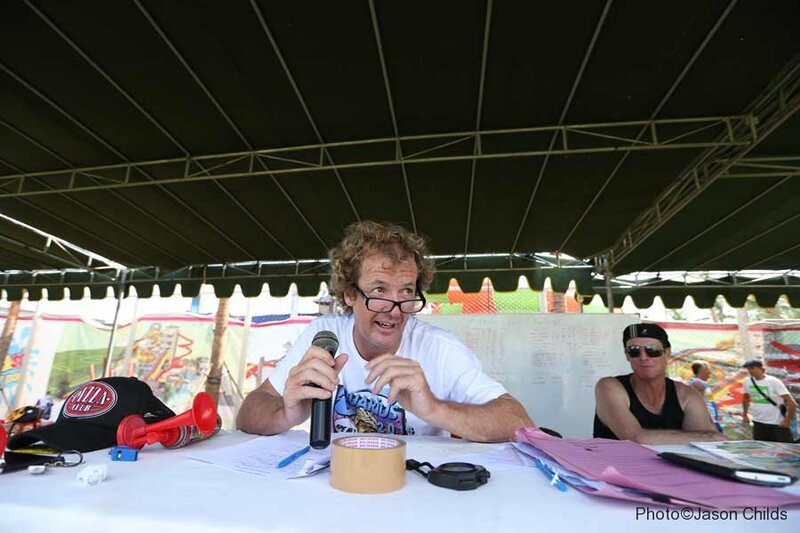 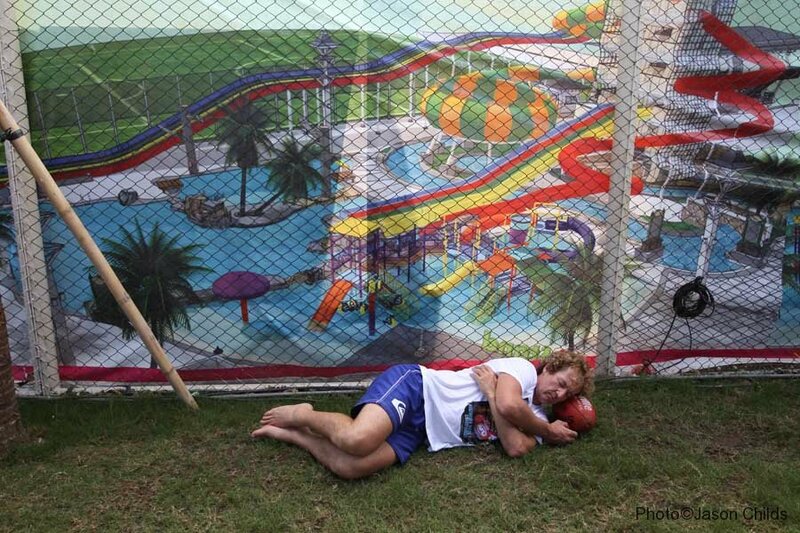 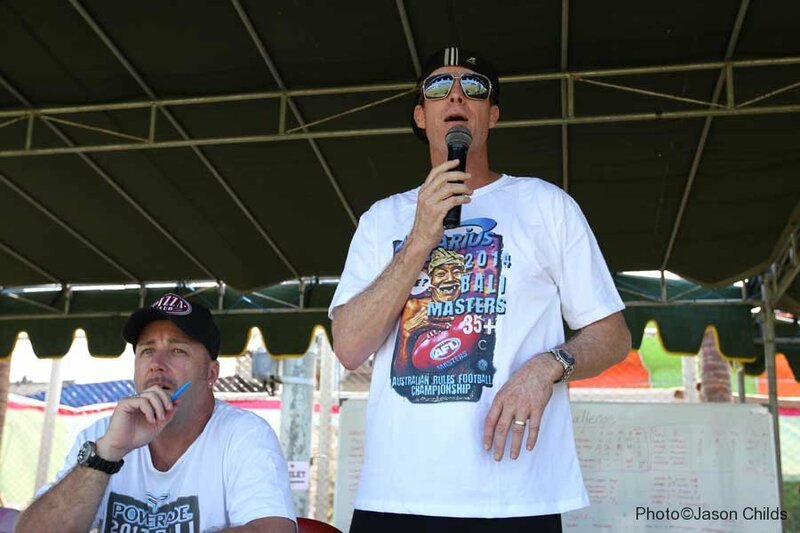 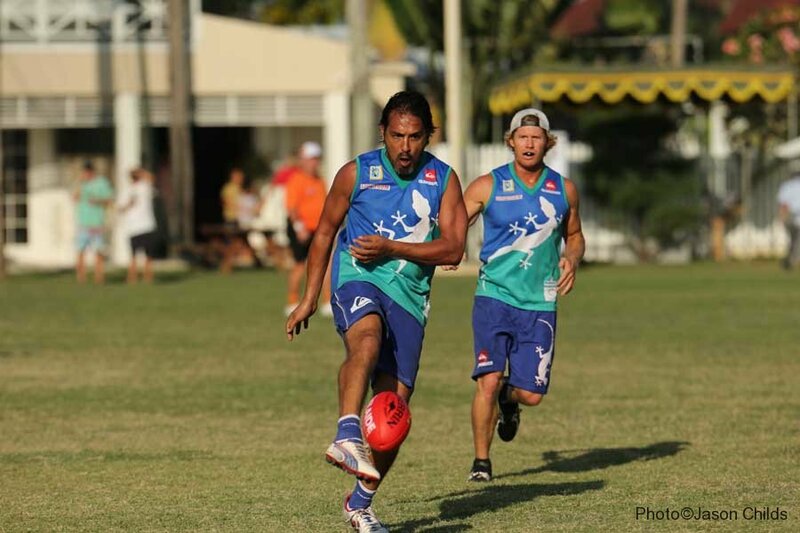 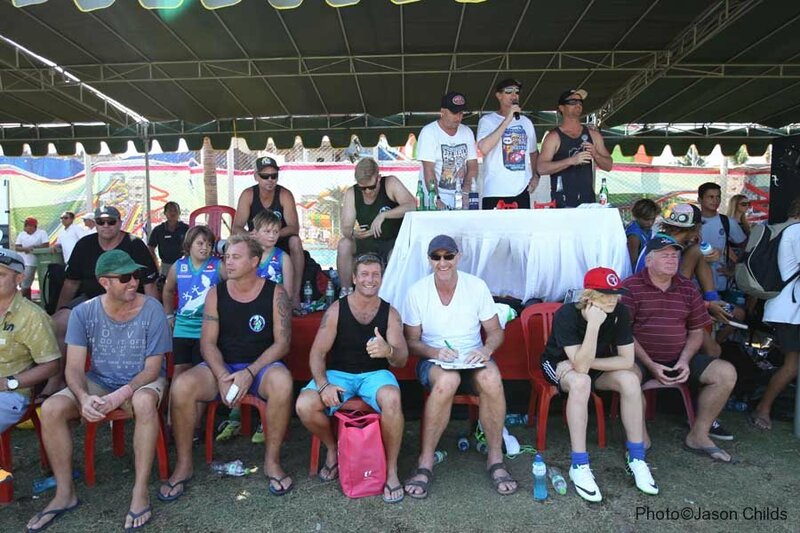 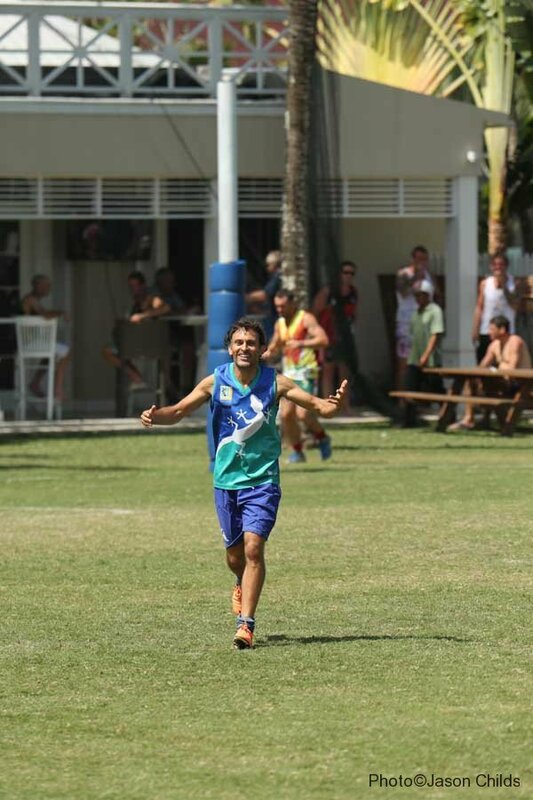 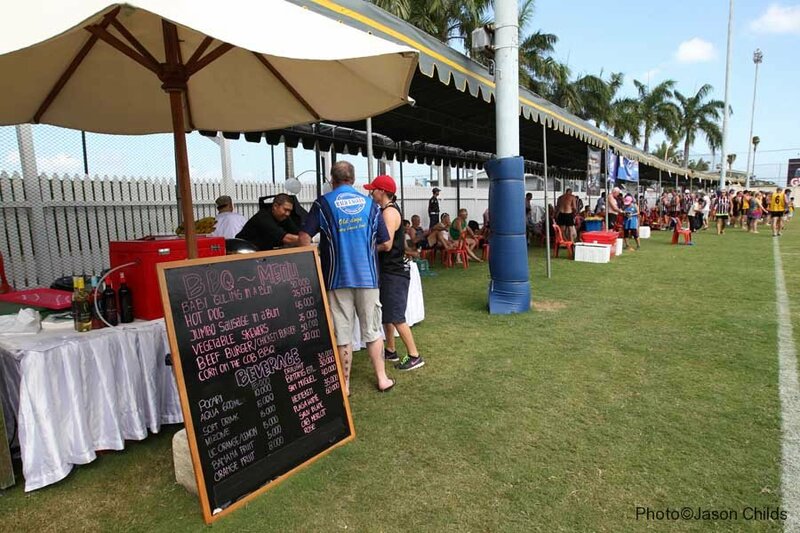 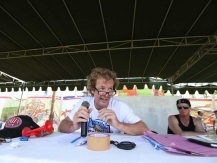 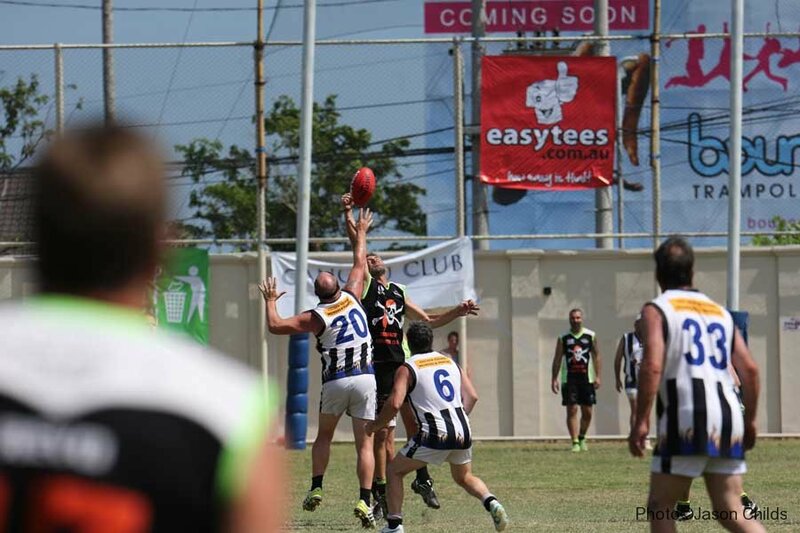 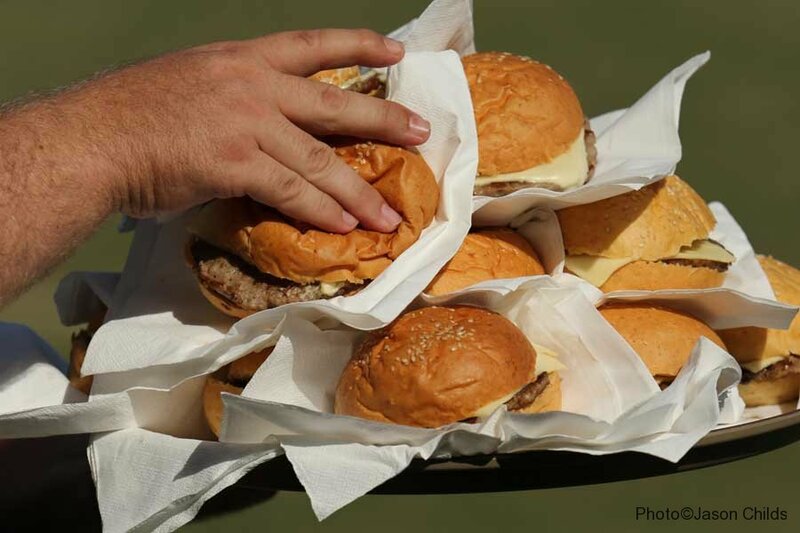 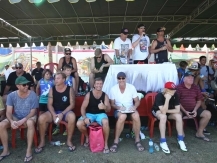 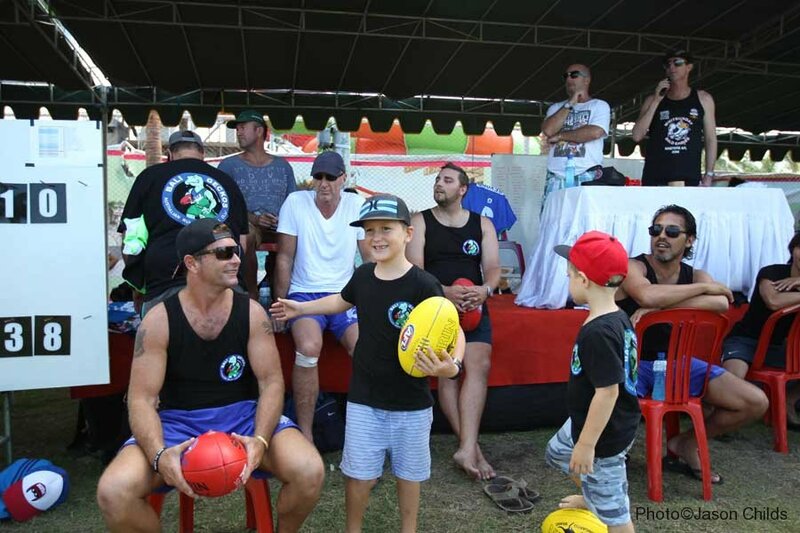 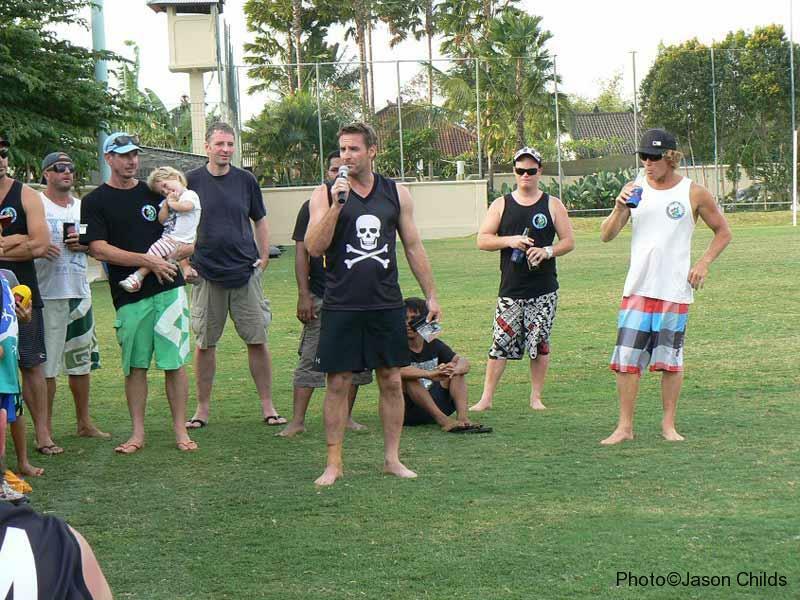 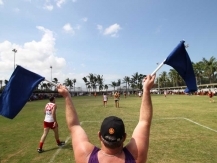 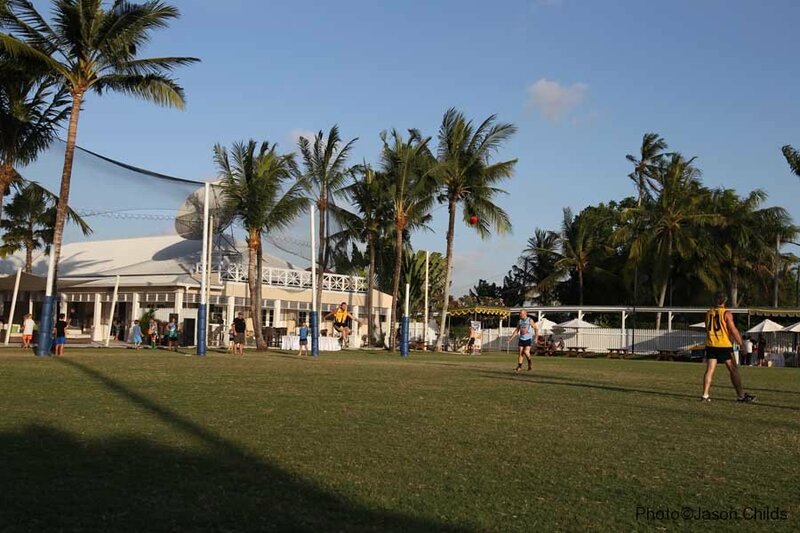 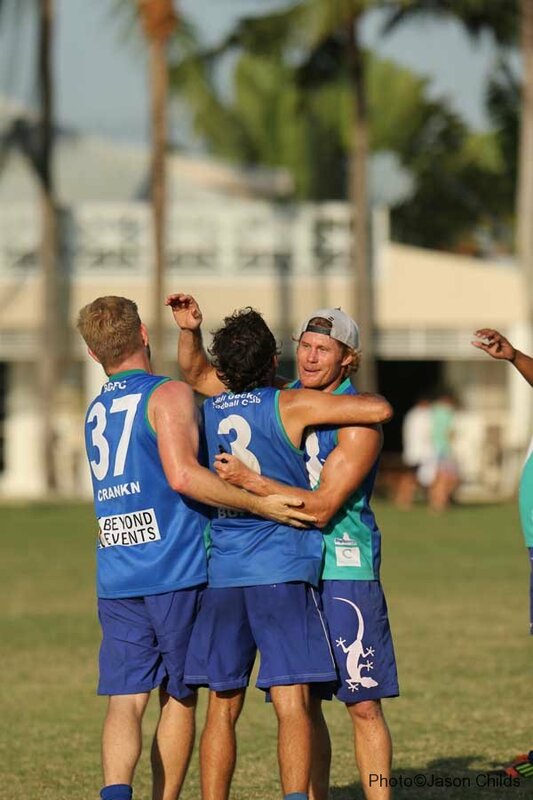 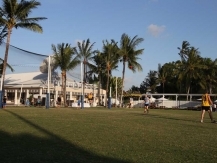 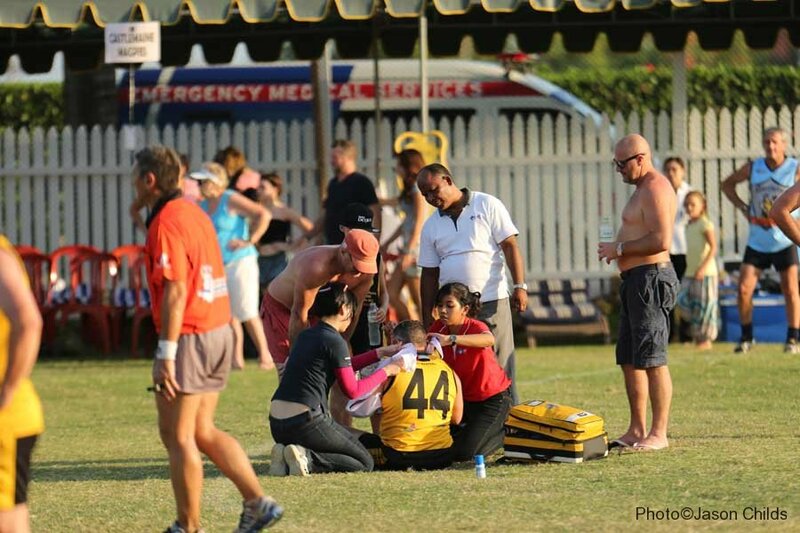 The 2014 Aquarius Bali Masters was held over the weekend of June 6 and 7 at Bali’s premier sports ground, the Canggu Club. 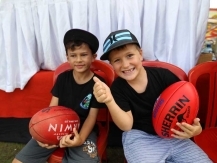 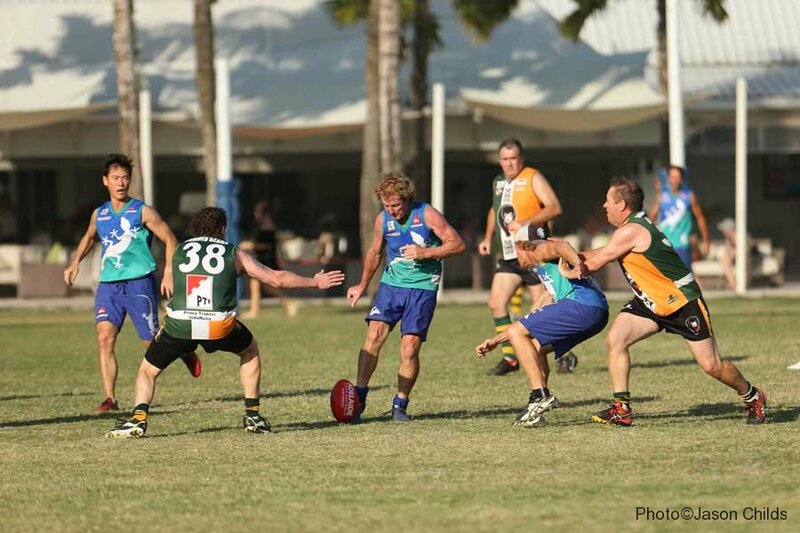 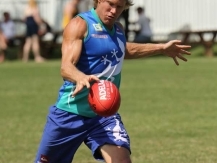 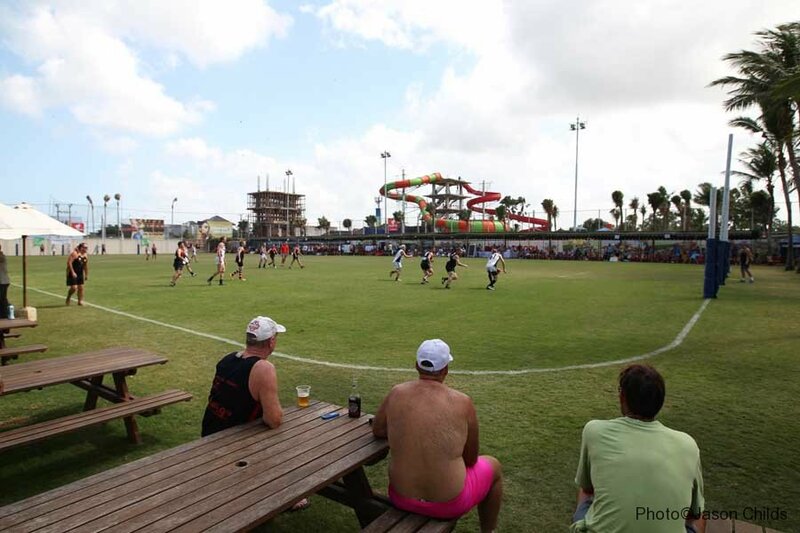 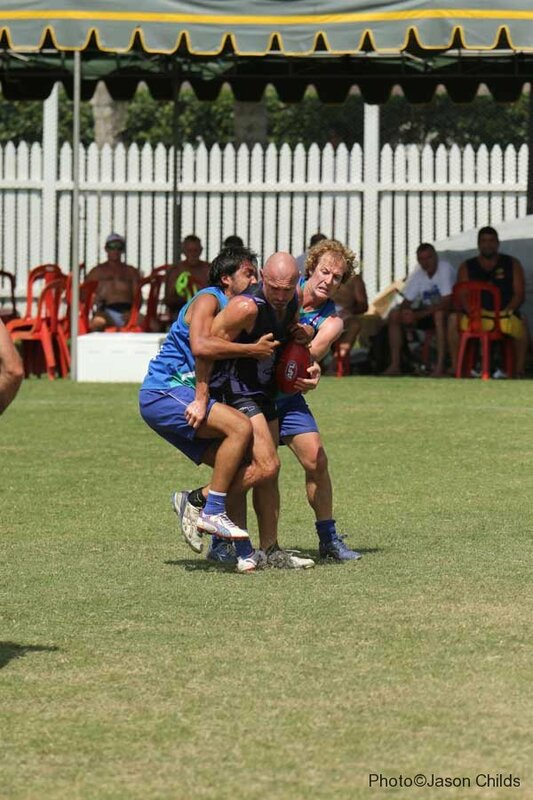 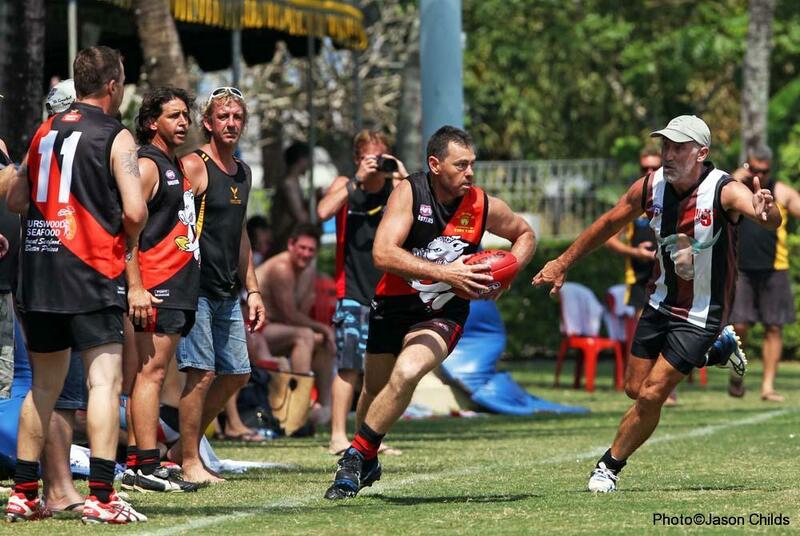 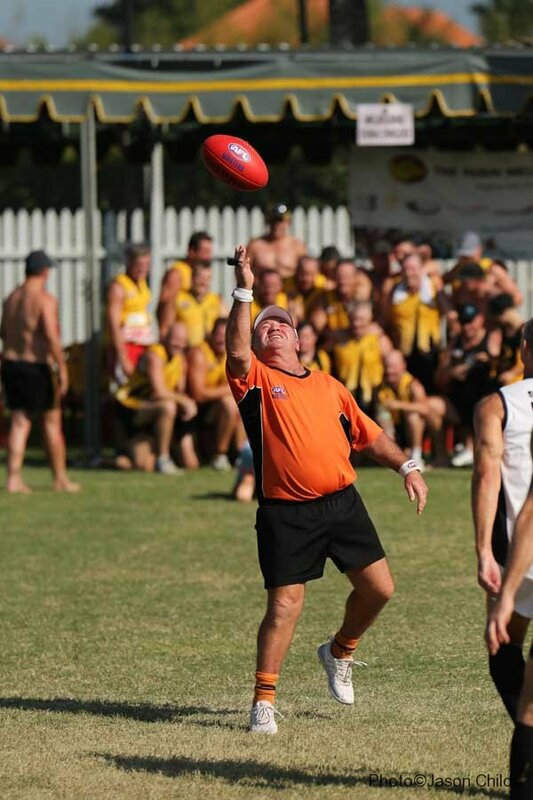 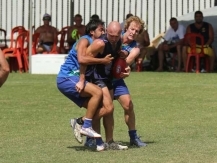 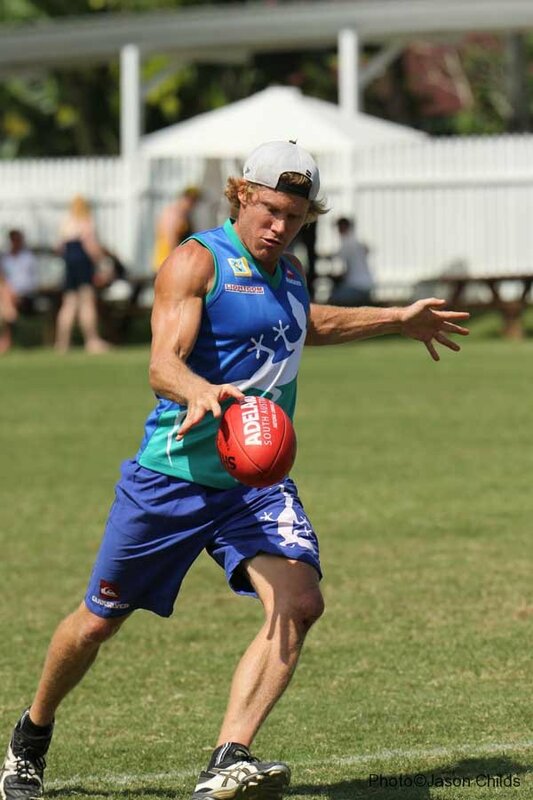 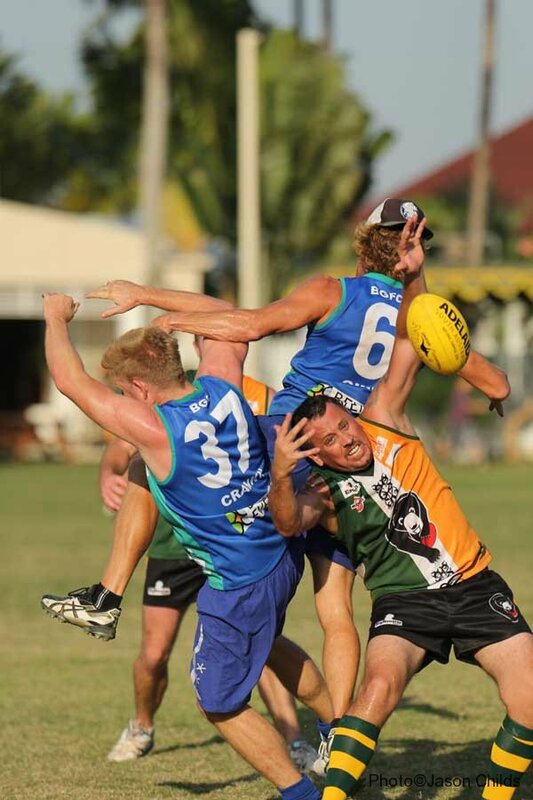 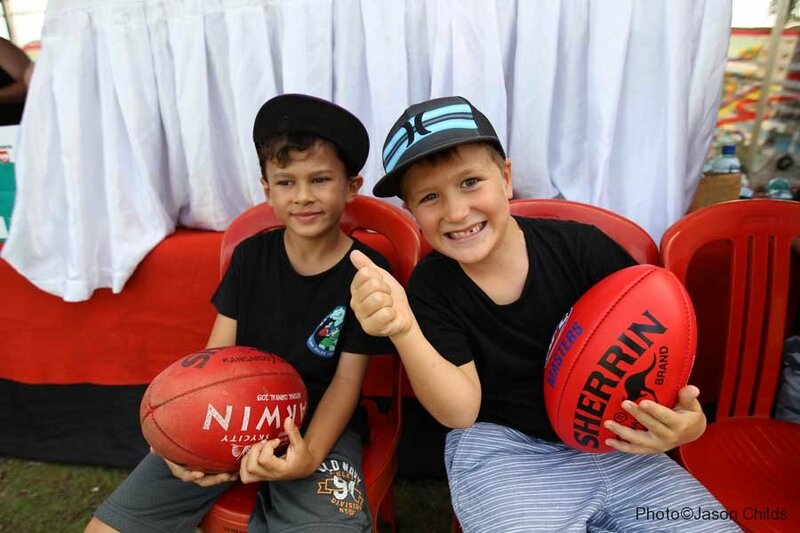 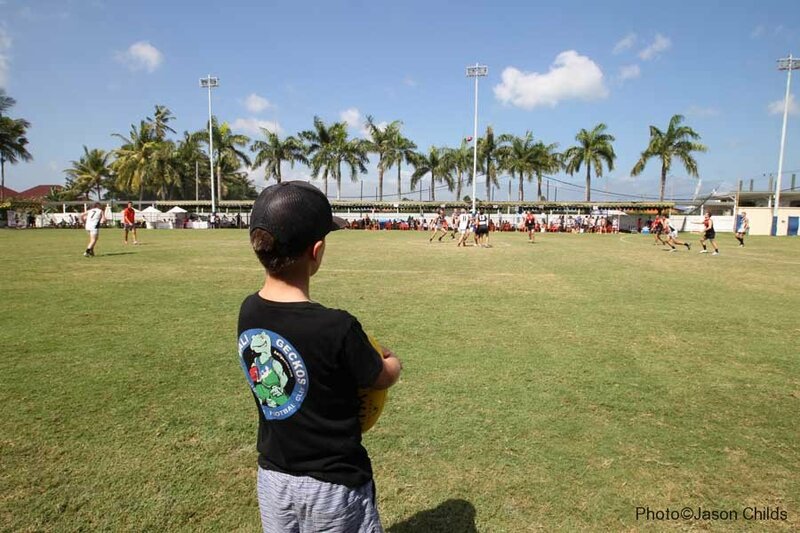 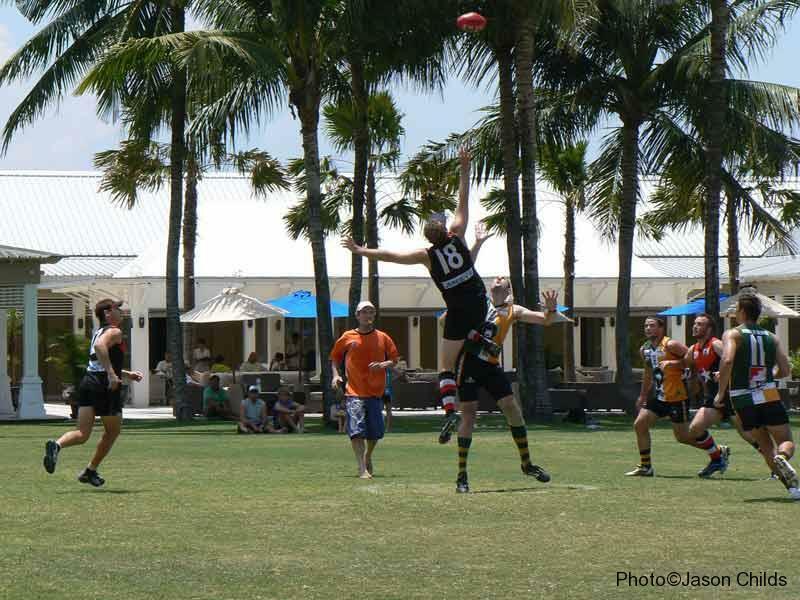 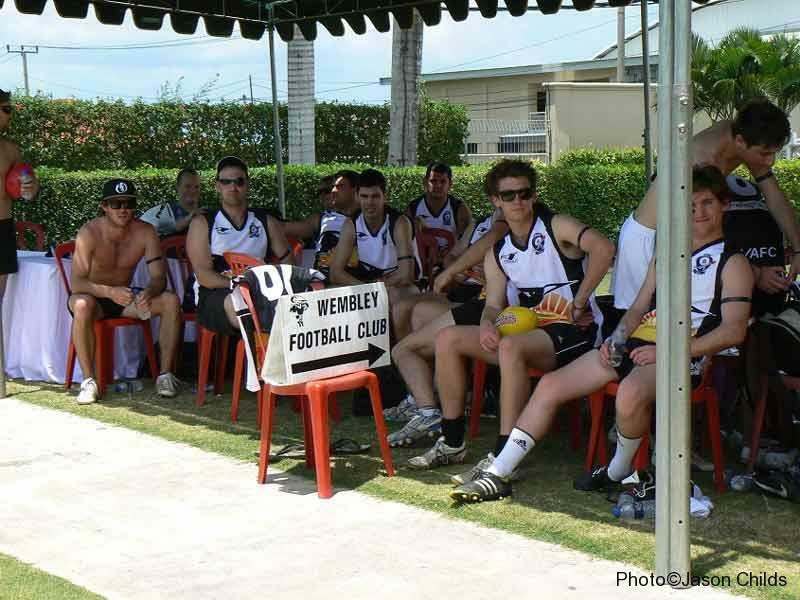 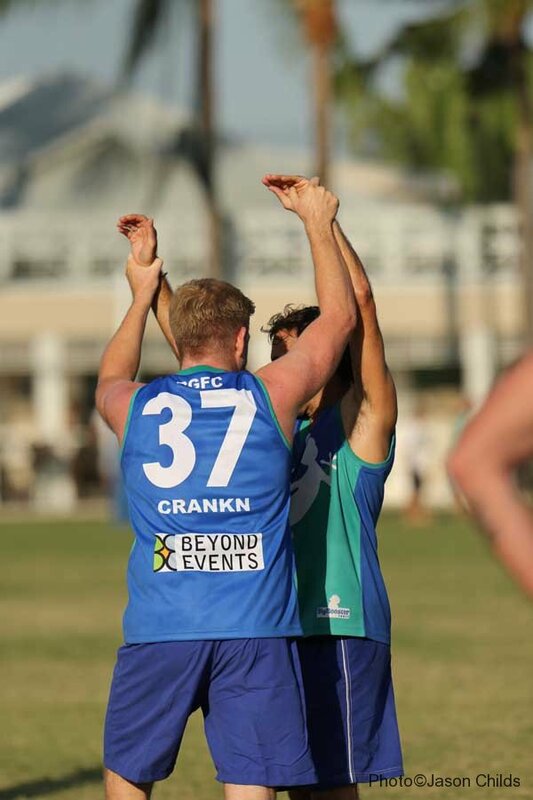 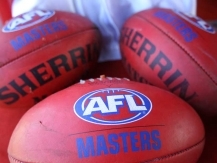 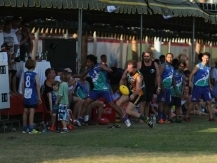 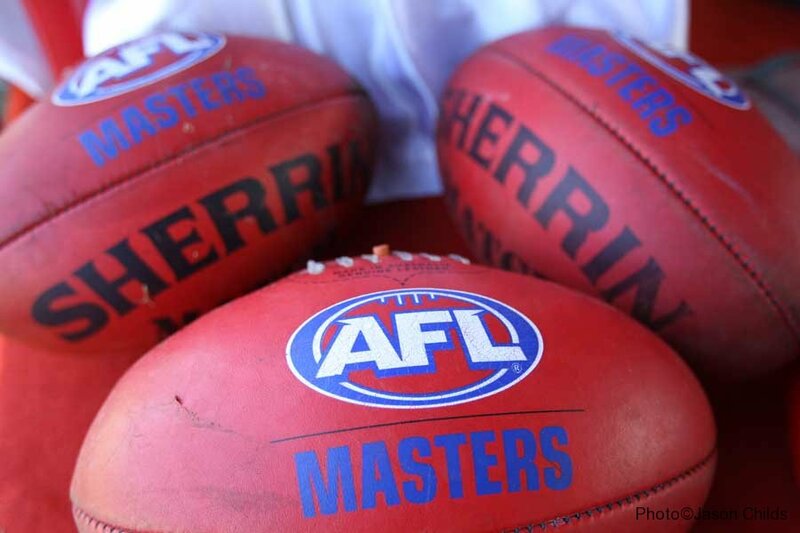 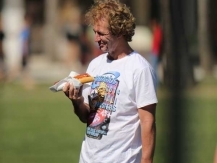 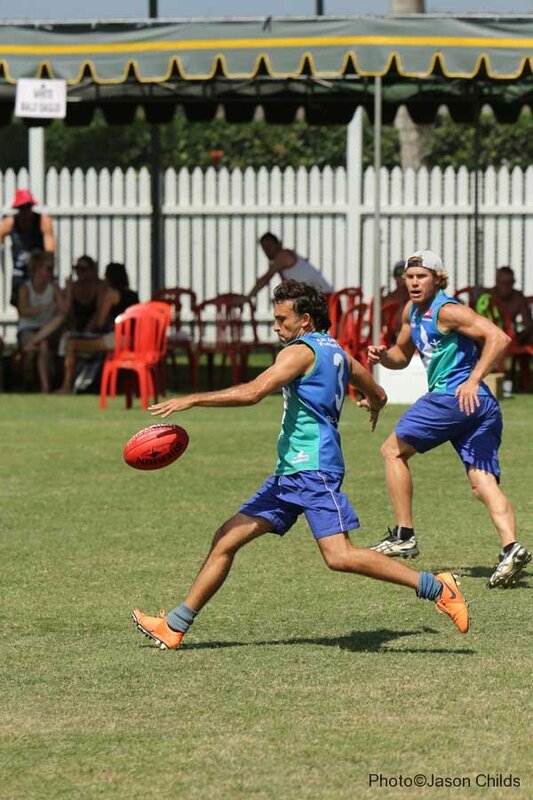 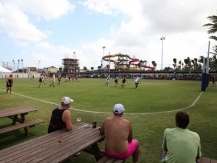 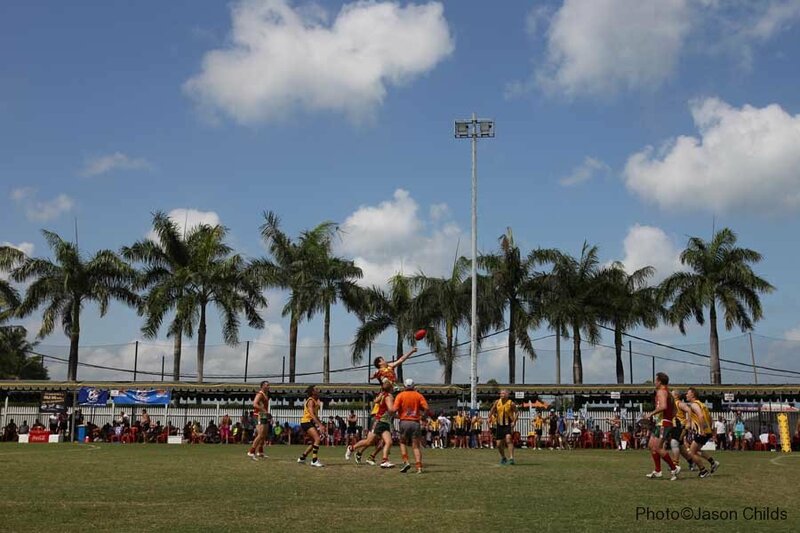 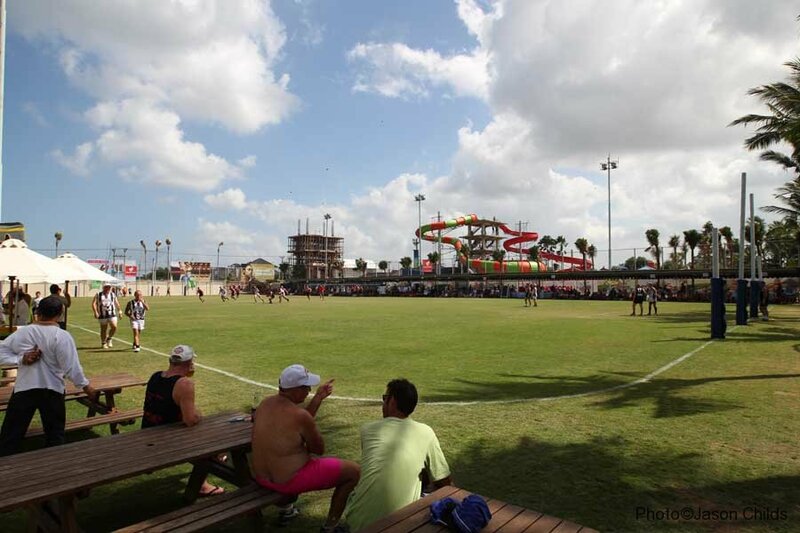 23 teams battled it out over 2 very full days of footy. 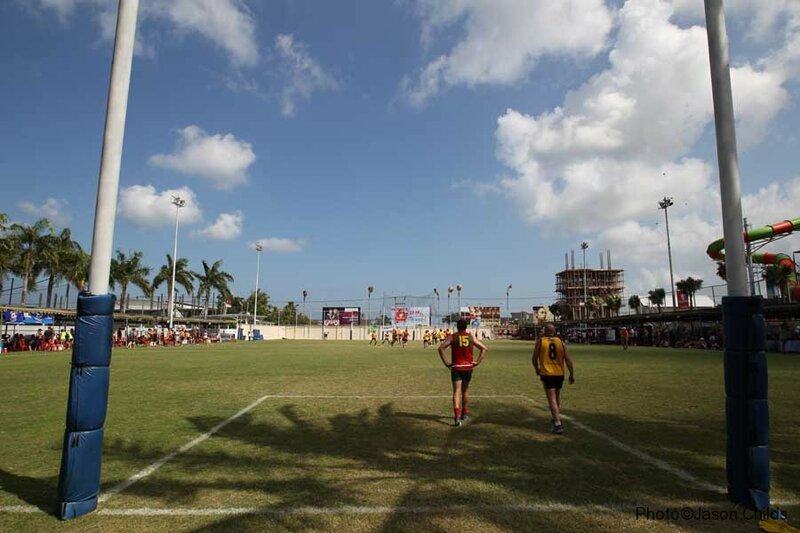 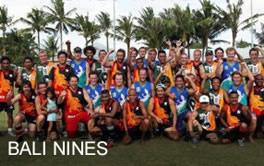 With such a large number of teams, the competition was split into 5 divisions once the qualifying games had been completed. 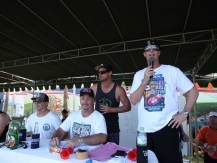 The top 6 had a fierce competition for the Cup. 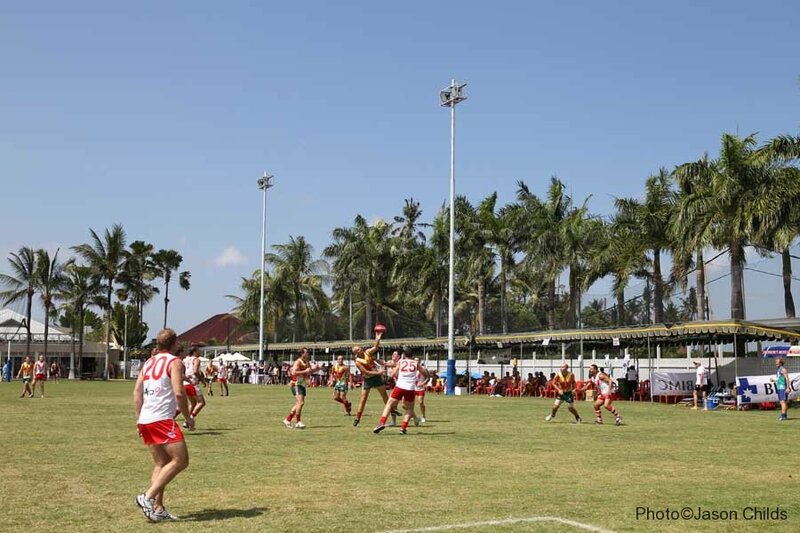 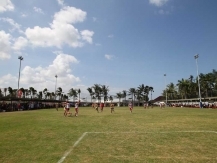 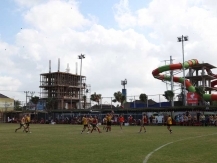 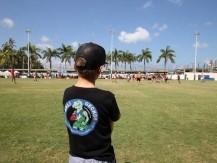 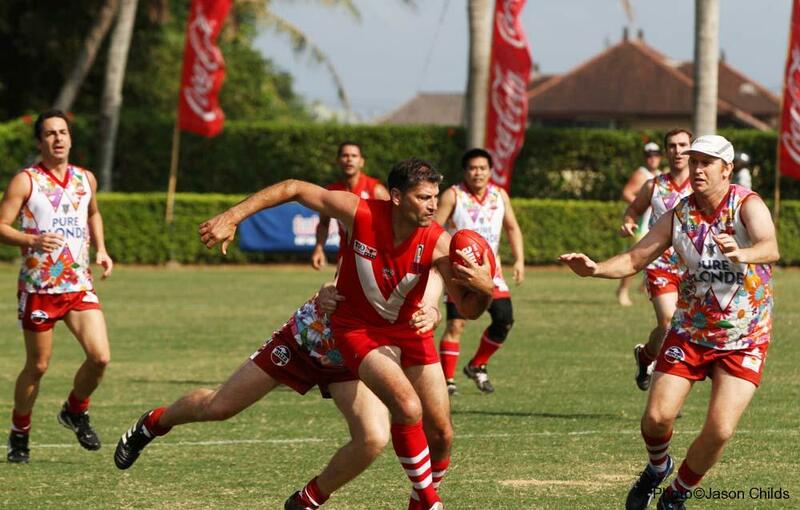 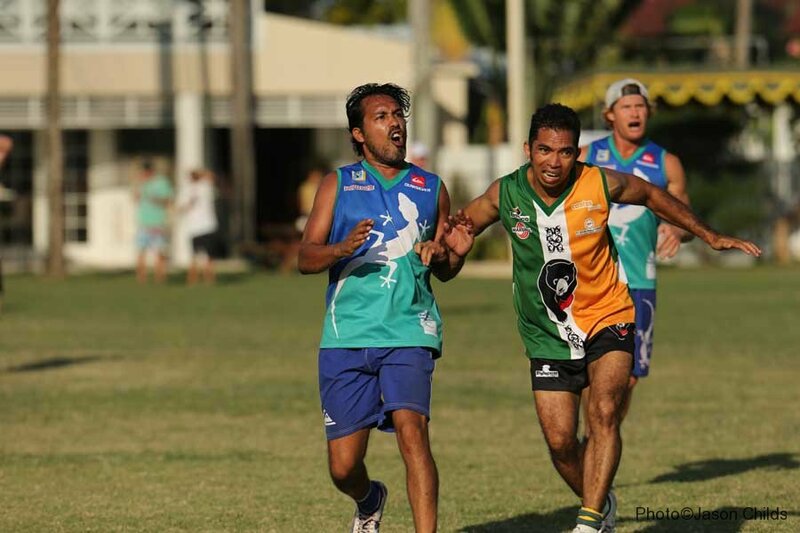 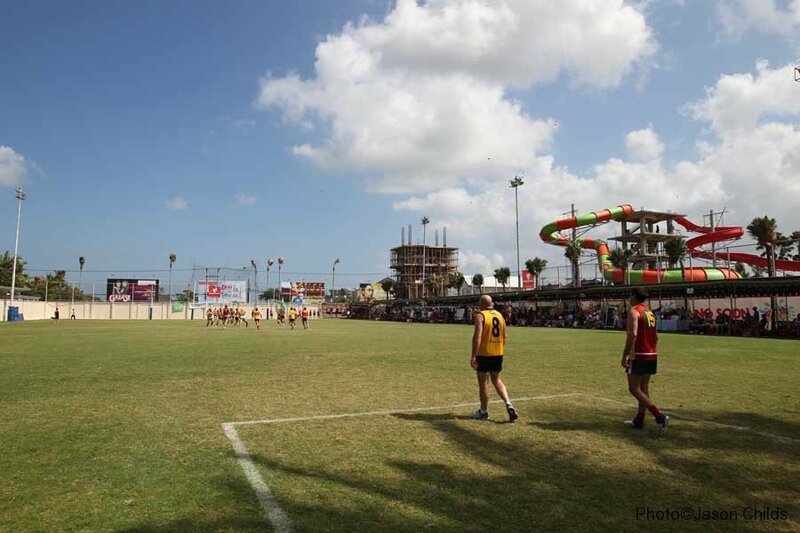 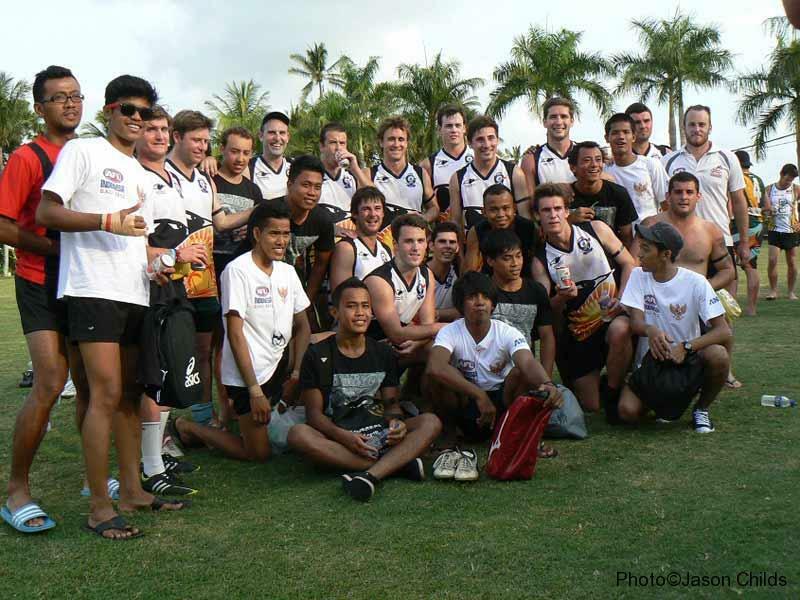 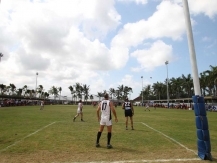 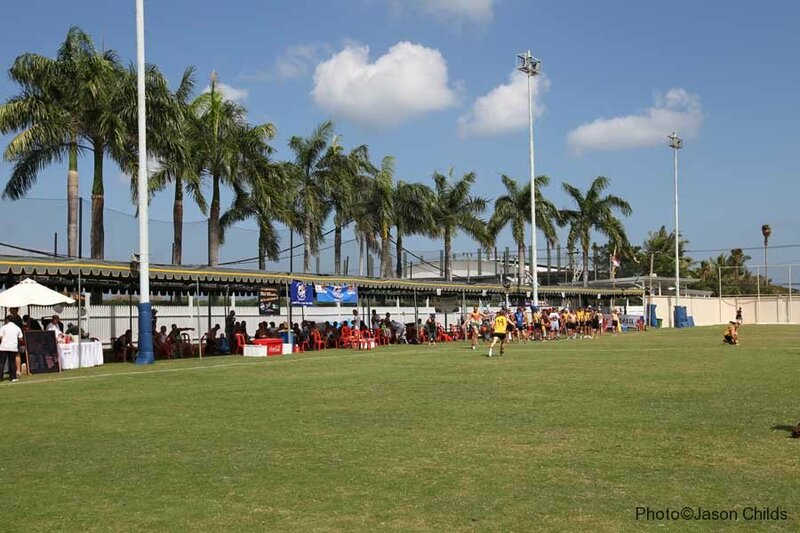 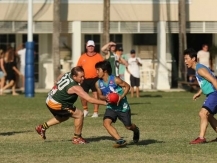 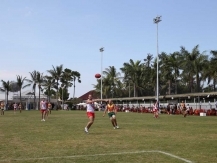 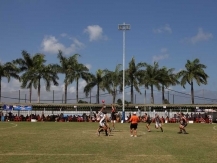 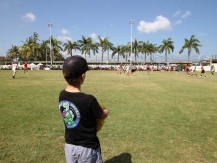 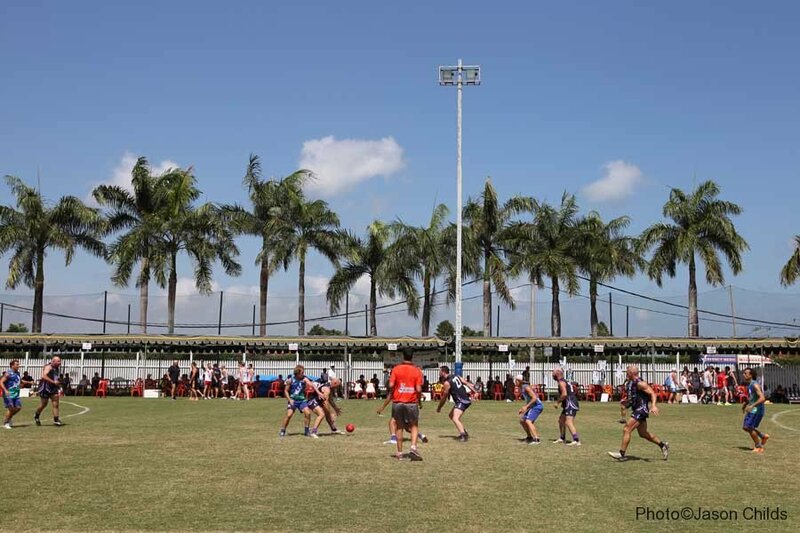 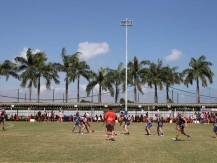 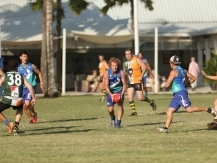 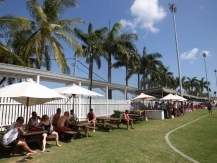 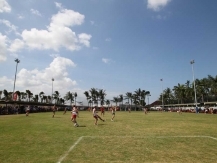 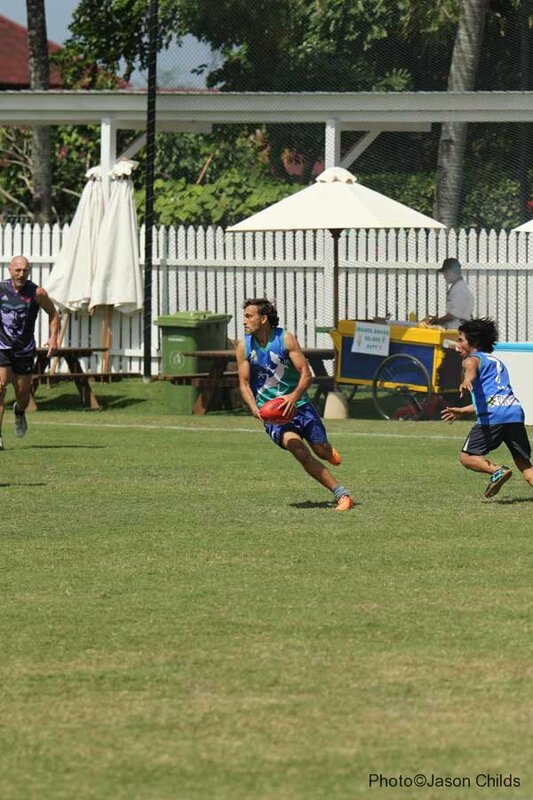 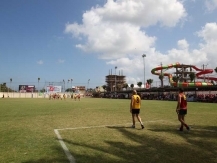 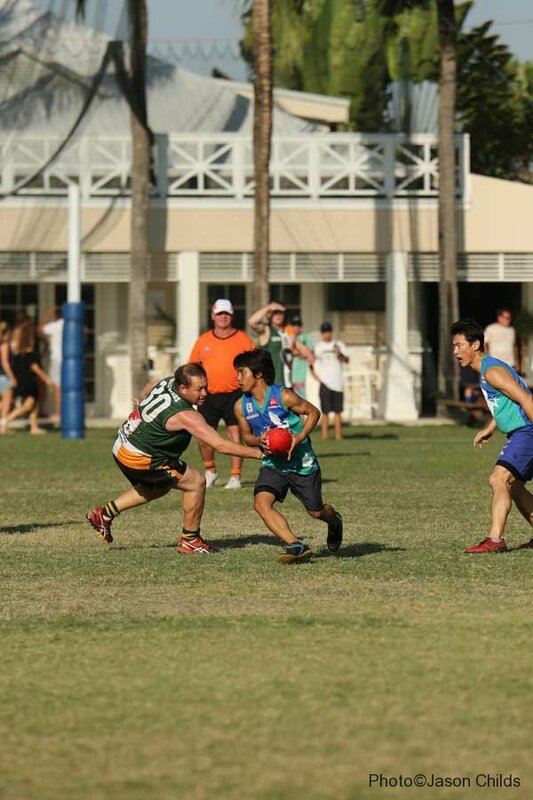 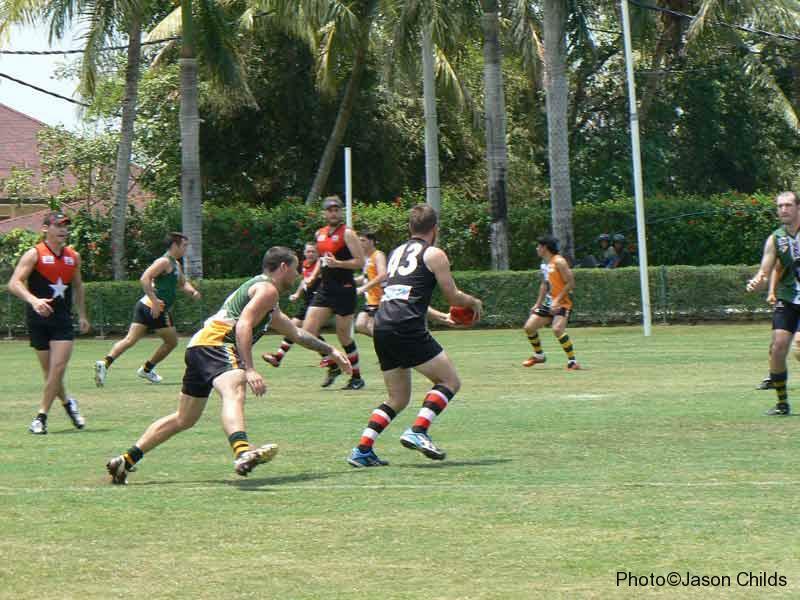 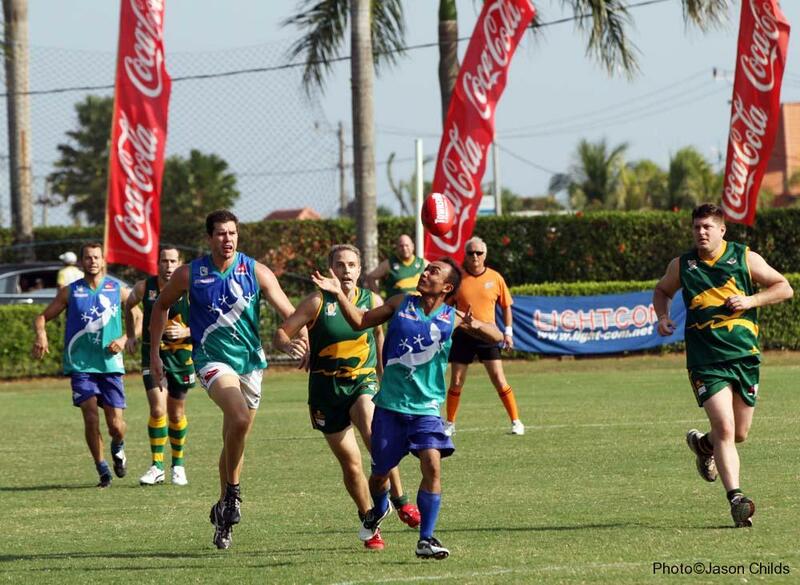 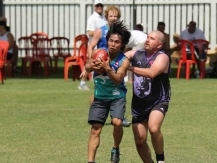 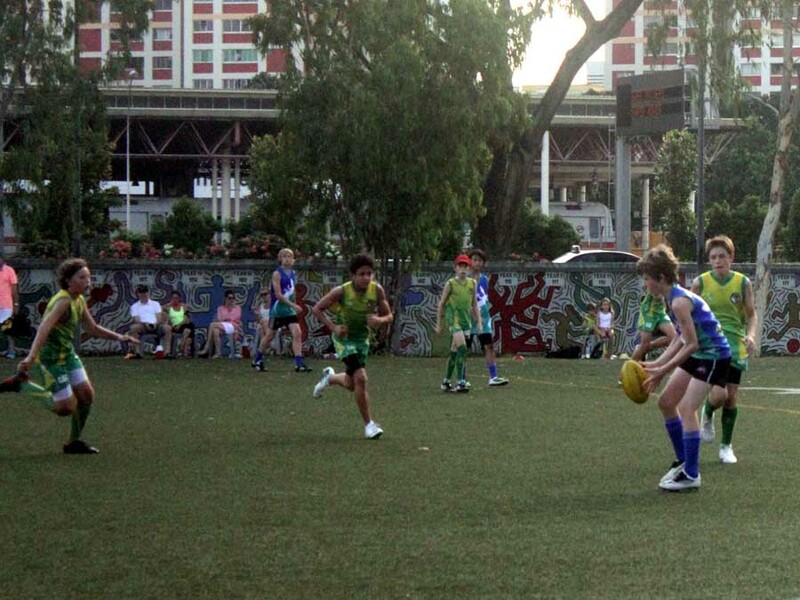 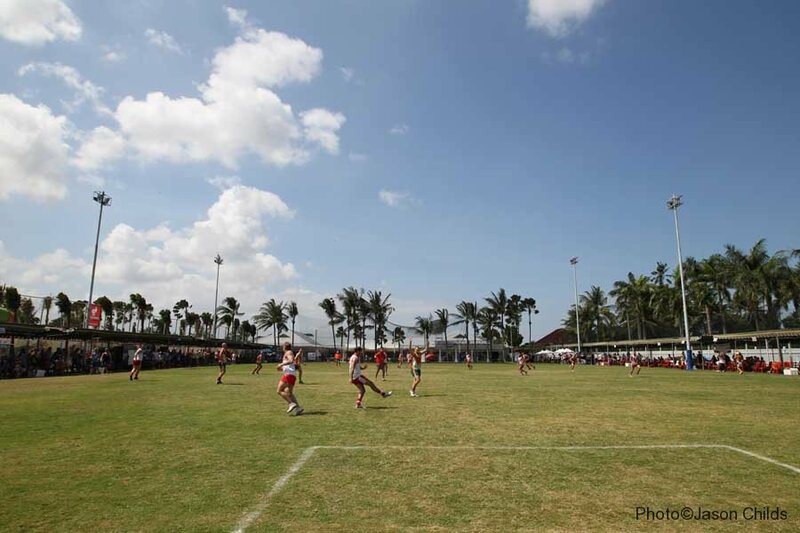 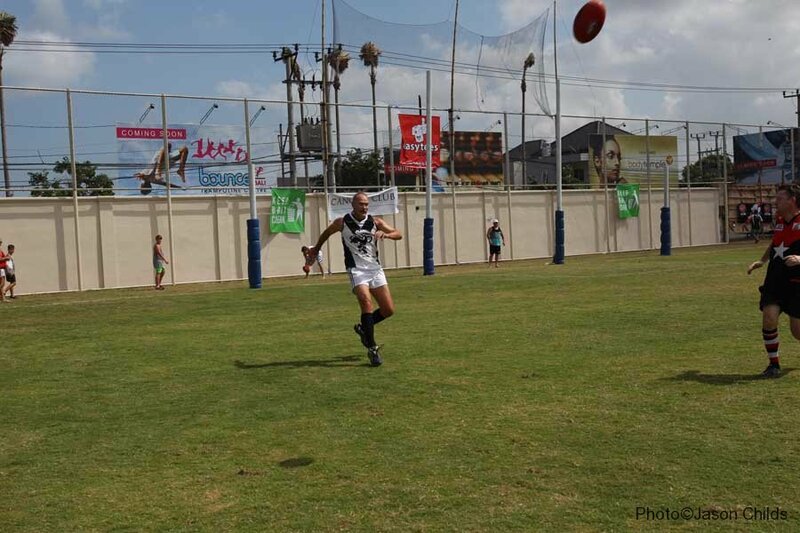 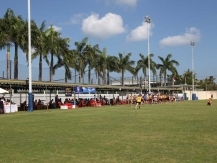 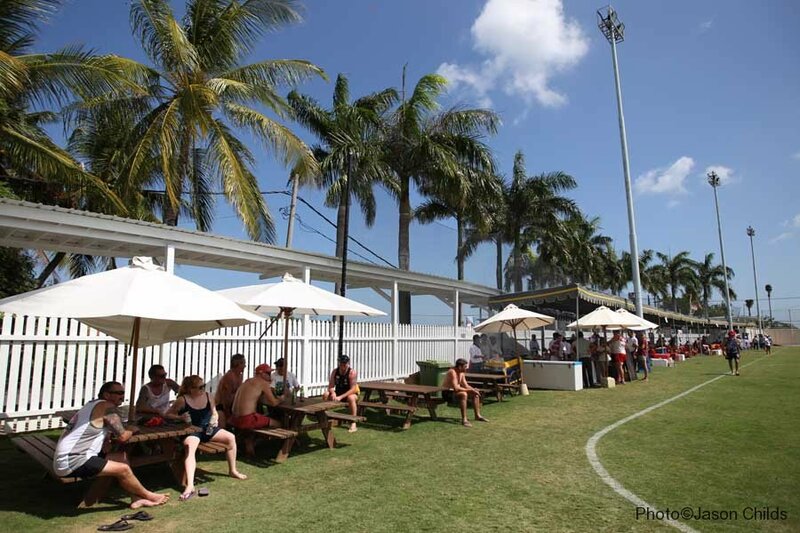 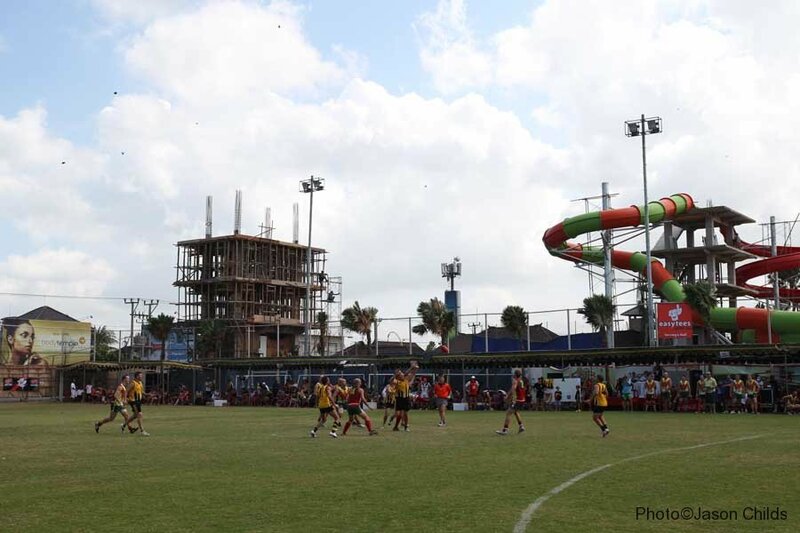 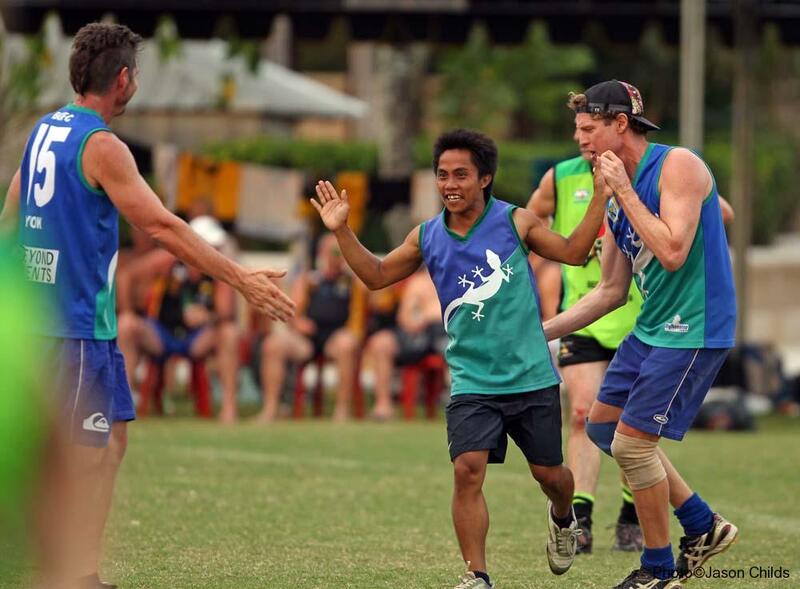 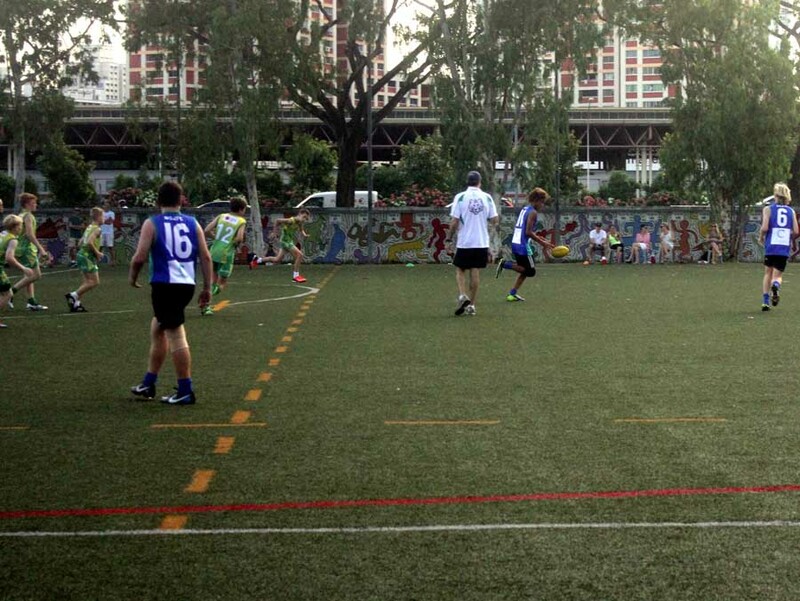 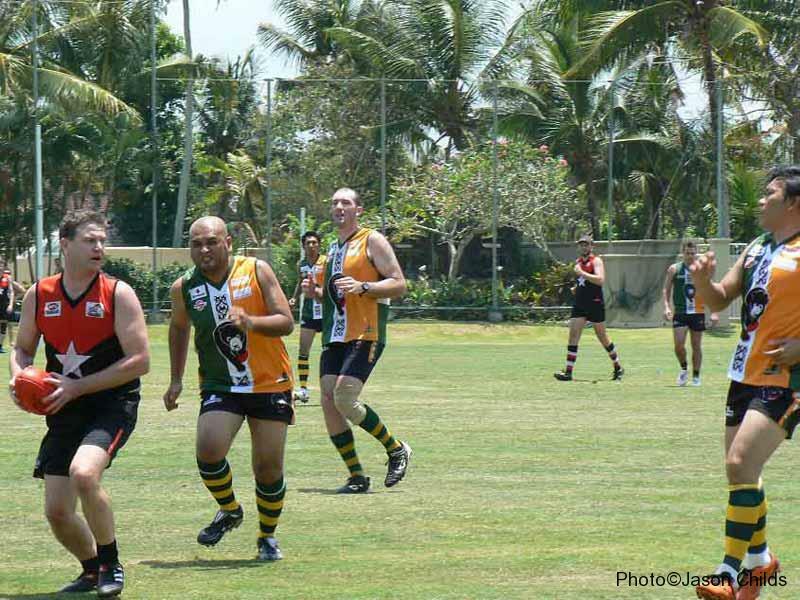 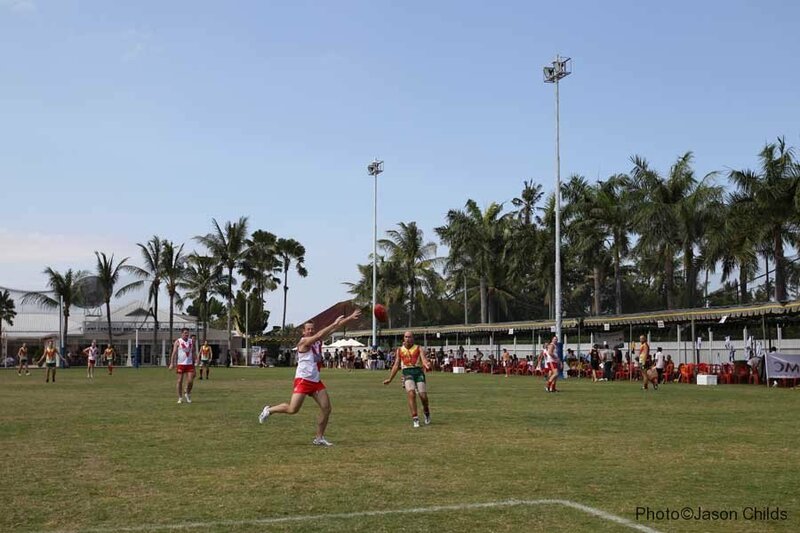 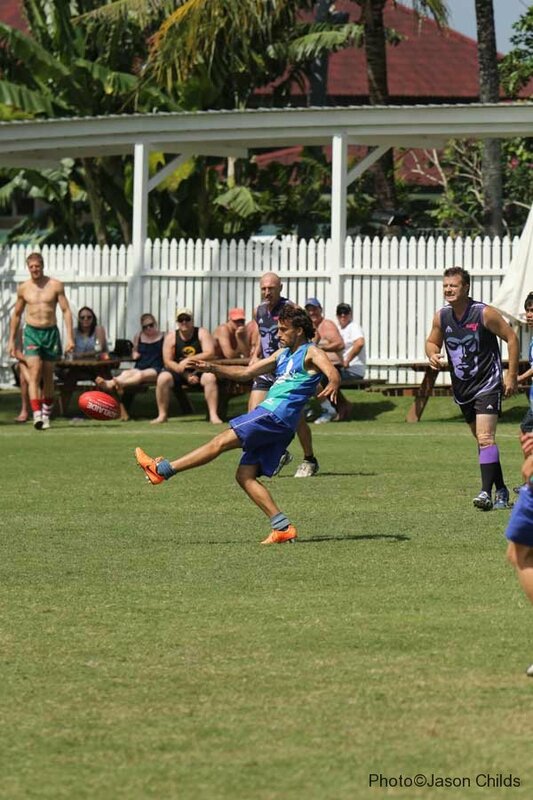 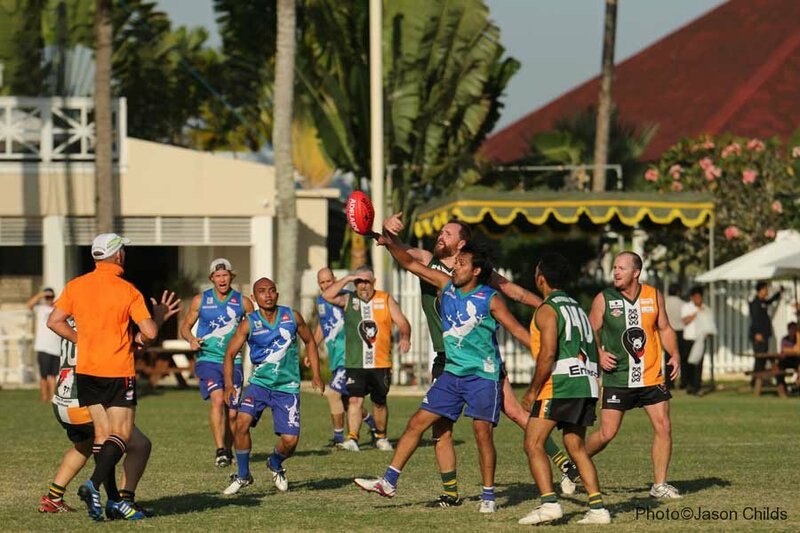 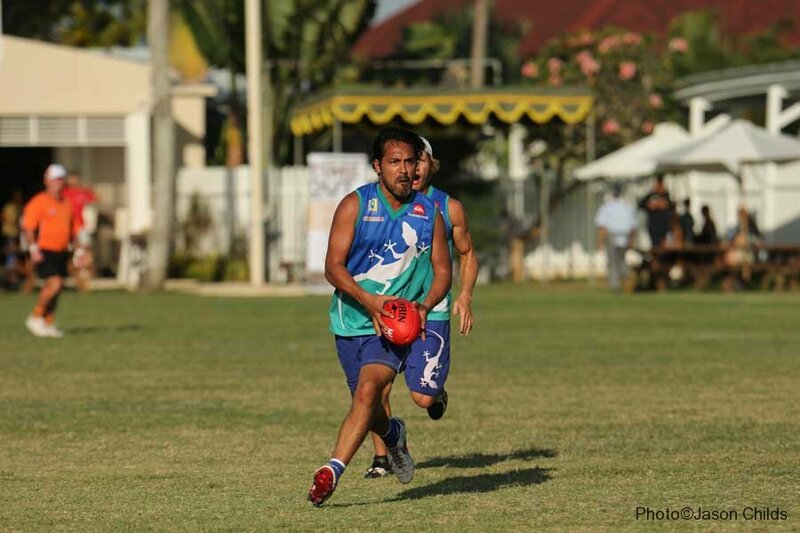 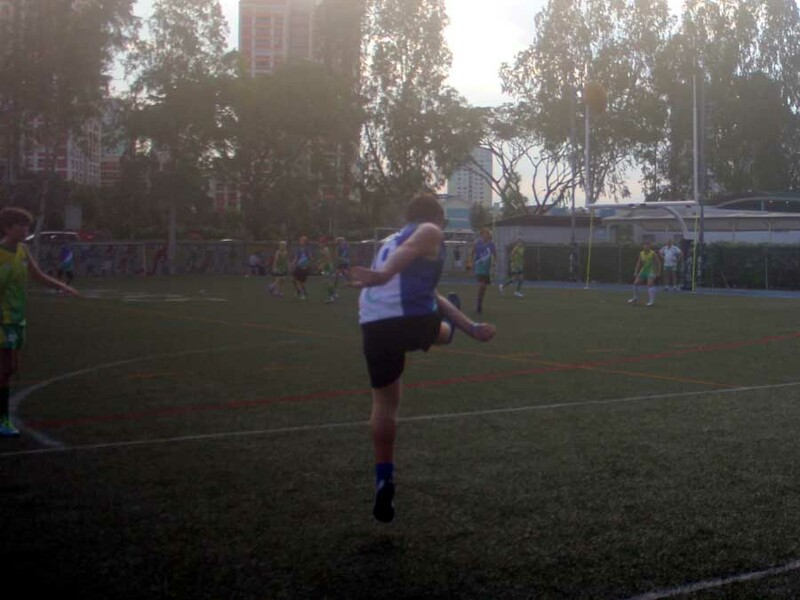 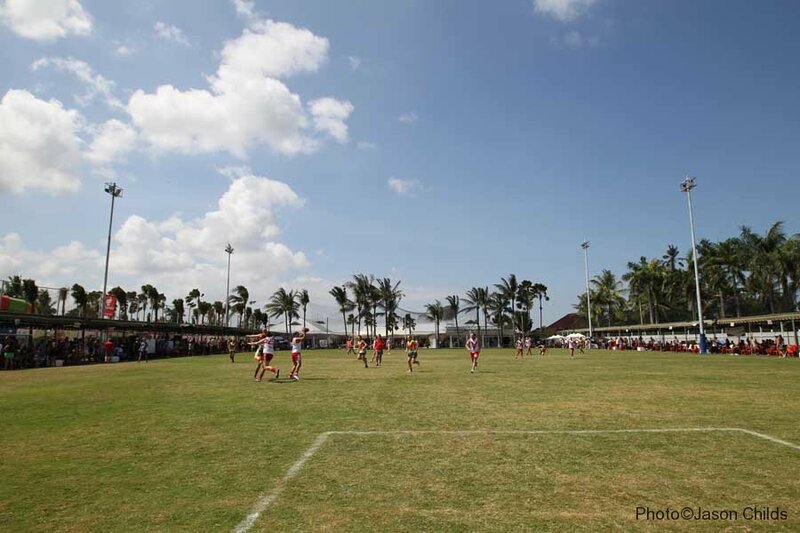 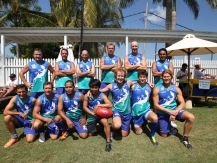 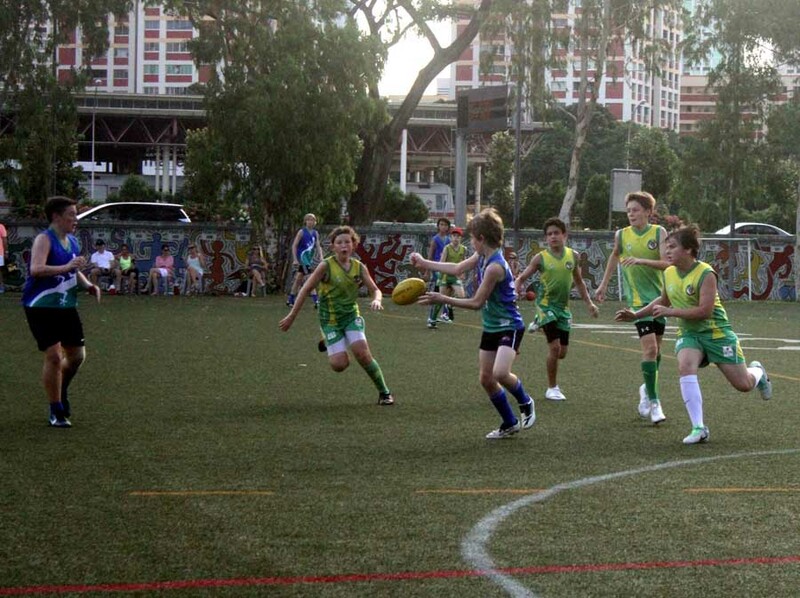 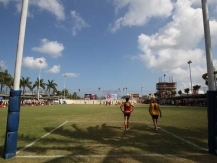 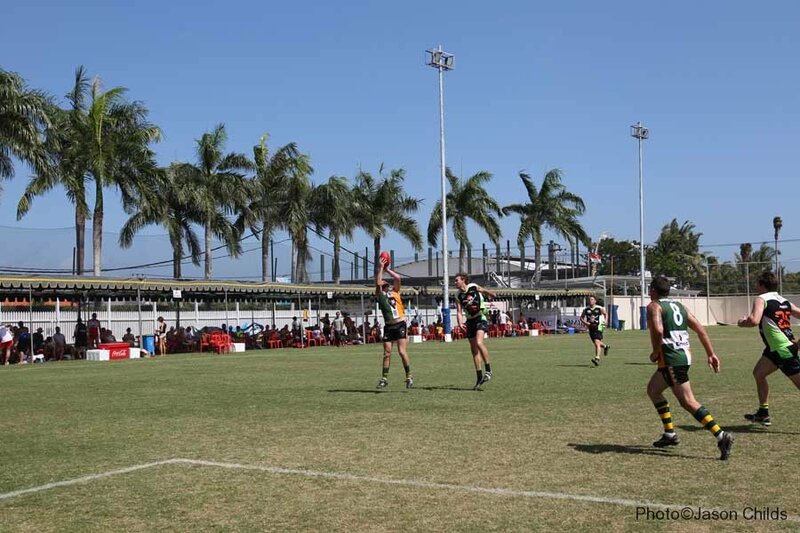 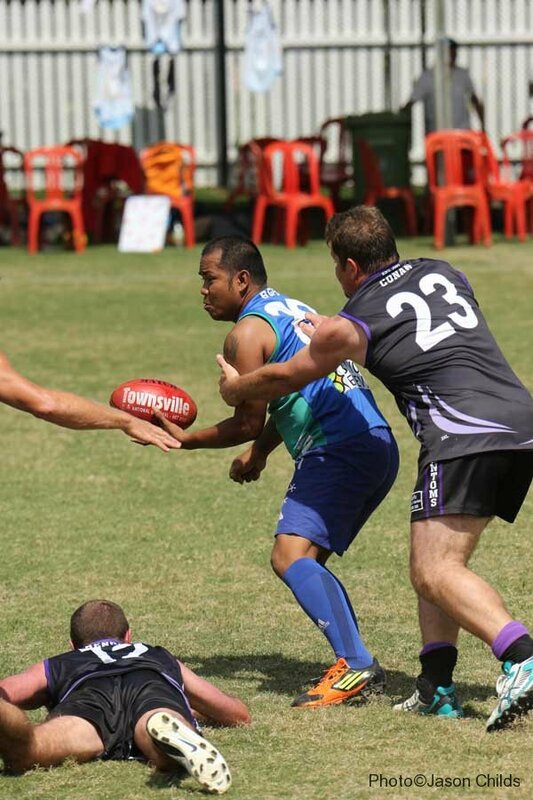 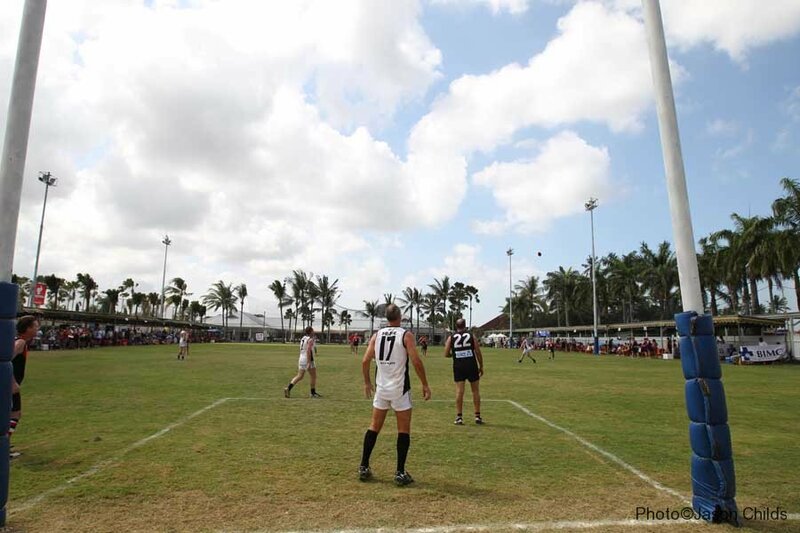 The Darwin Waratahs and Jakarta Bintangs were highly competitive but lost games to the eventual finalists the Darwin Dugongs and Audo United from Singapore. 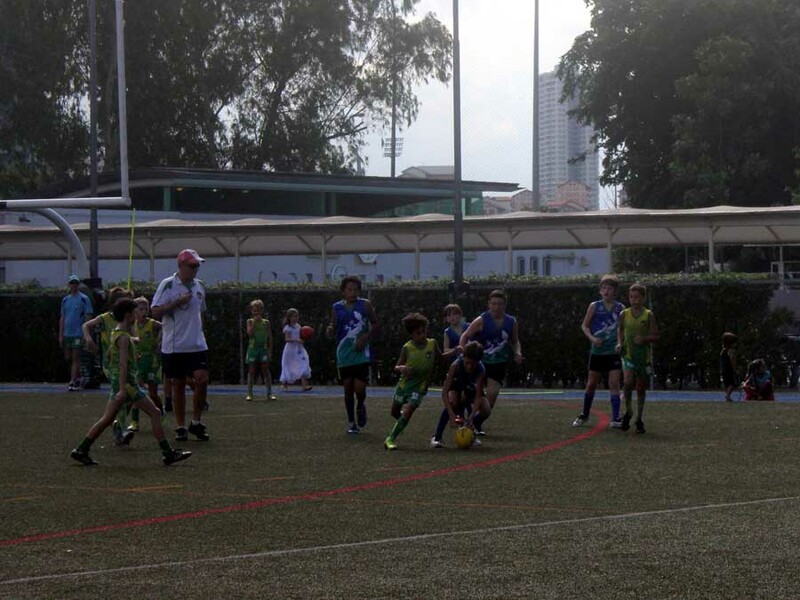 In one of the most hard fought battles witnessed over the 10 years of this competition, Audo United got up in the premiership game winning by 5 points. 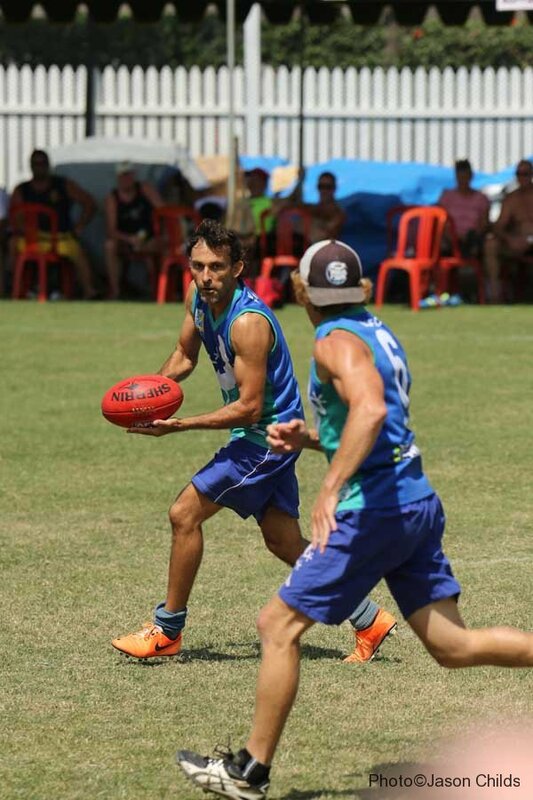 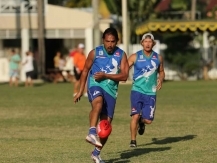 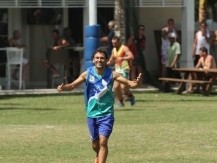 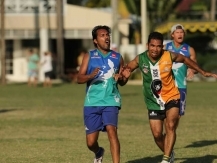 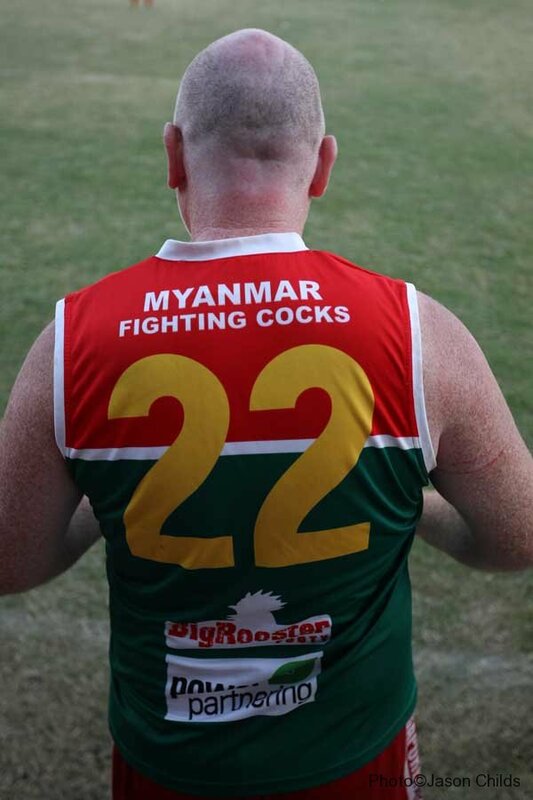 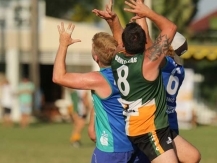 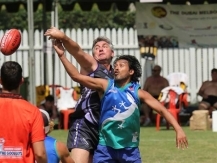 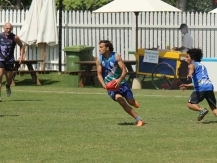 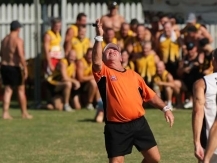 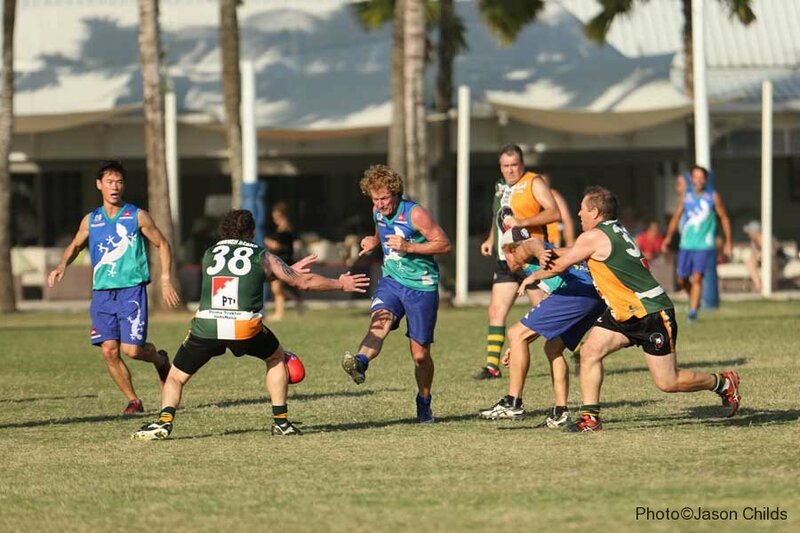 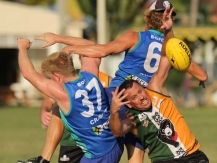 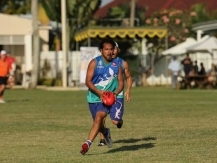 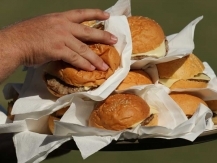 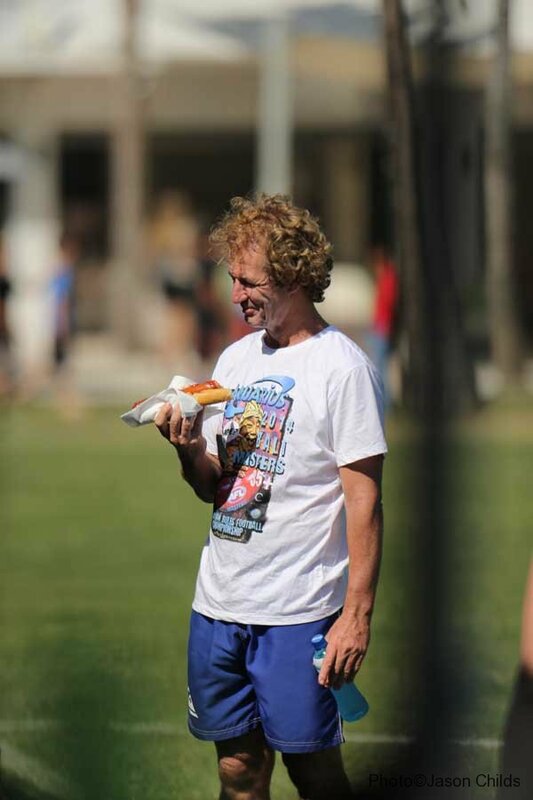 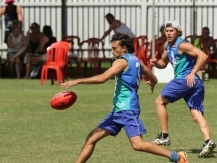 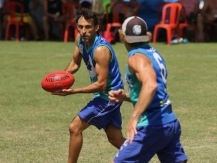 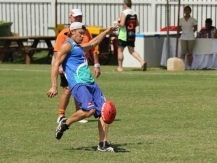 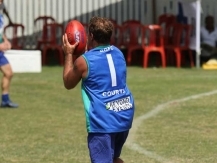 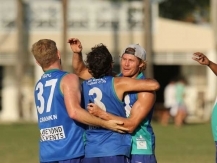 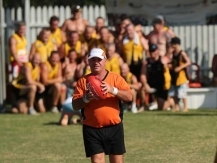 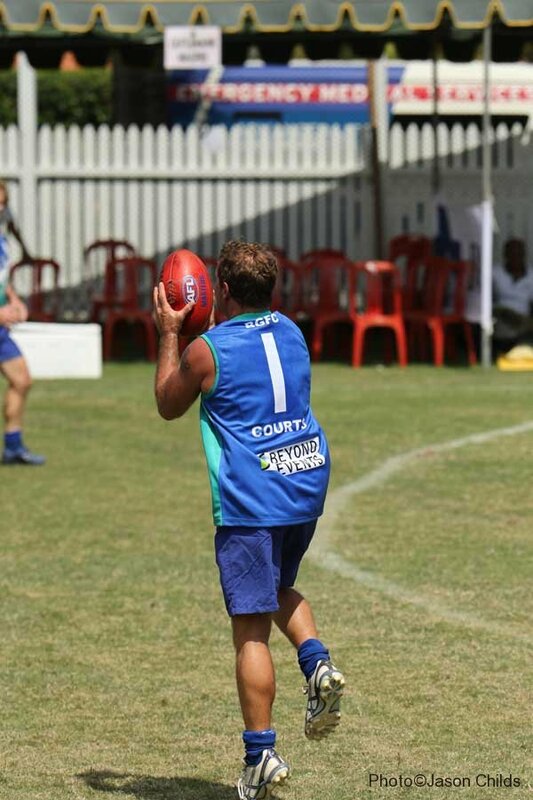 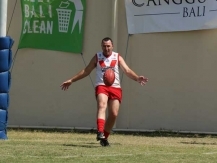 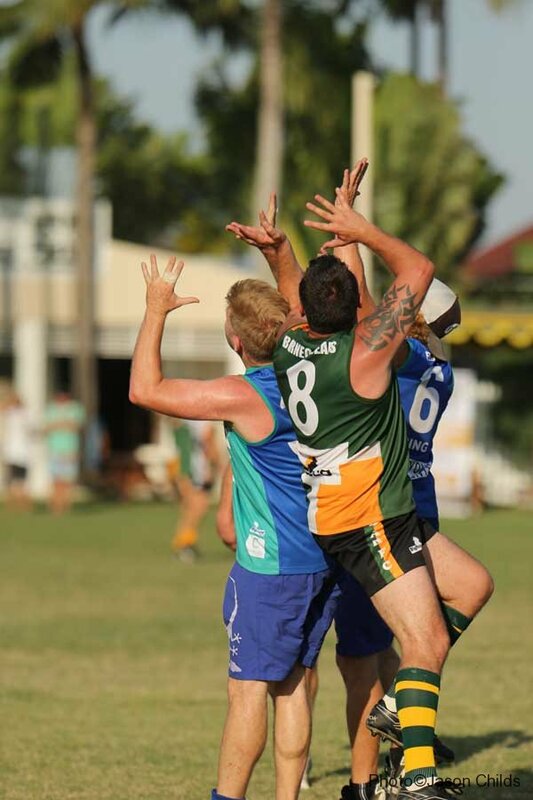 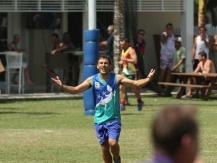 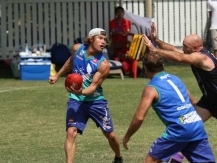 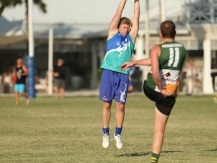 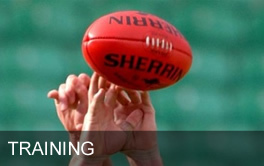 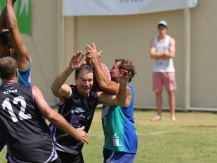 The Dugongs who have been runners-up twice previously were relegated to second once more. 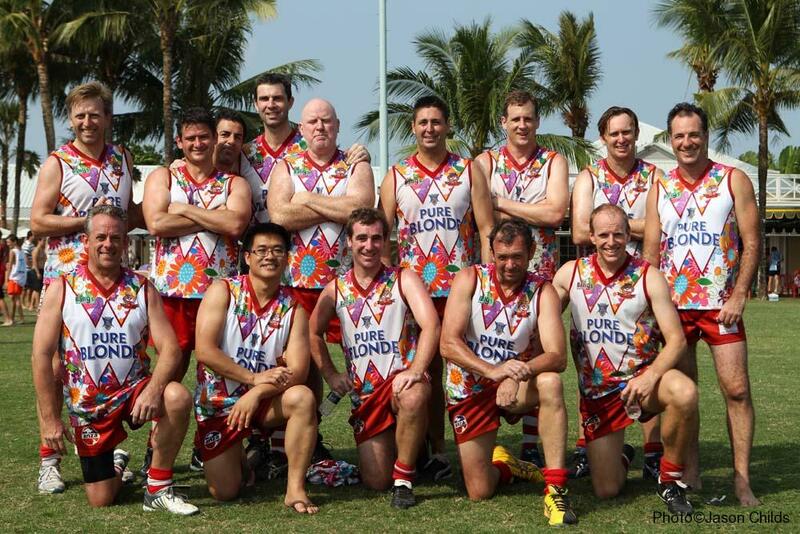 The Audo United team was put together to honour the memory of Nick Audin who was long time member of Singapore’s football community. 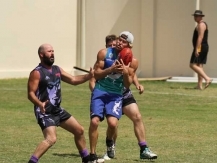 Nick lost his battle with skin cancer late last year and winning this Cup was a fitting reward for the team that went through the tournament undefeated. 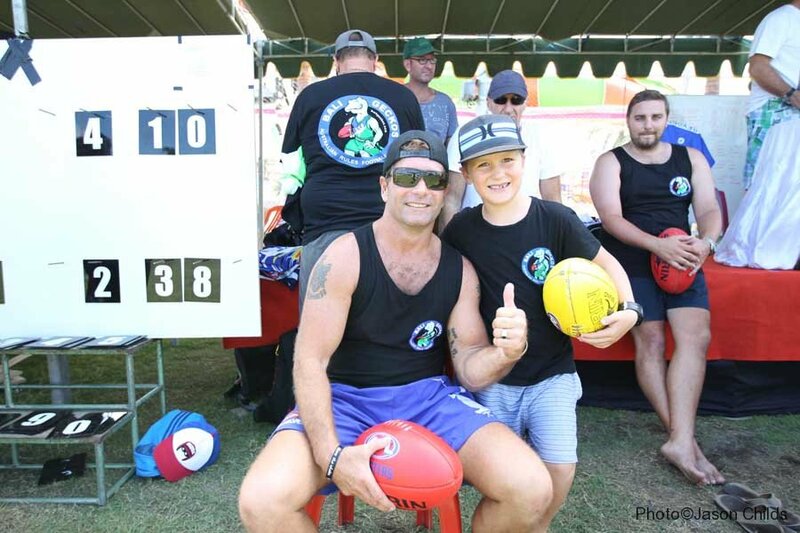 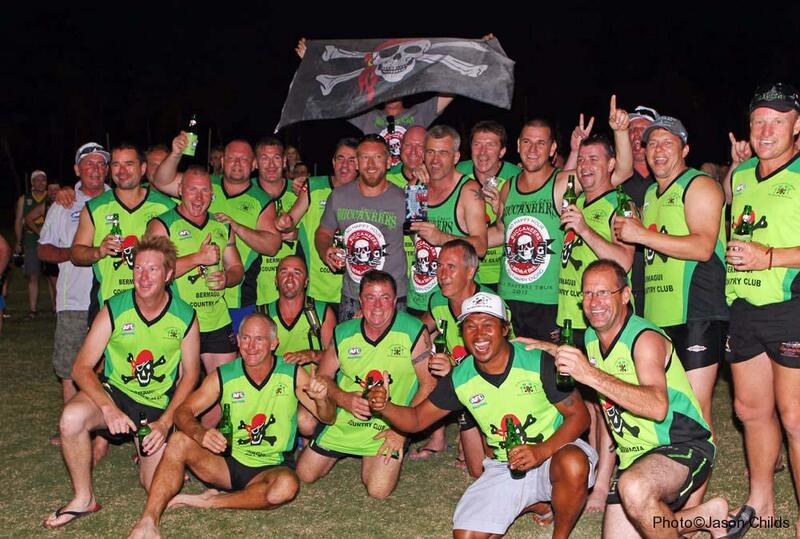 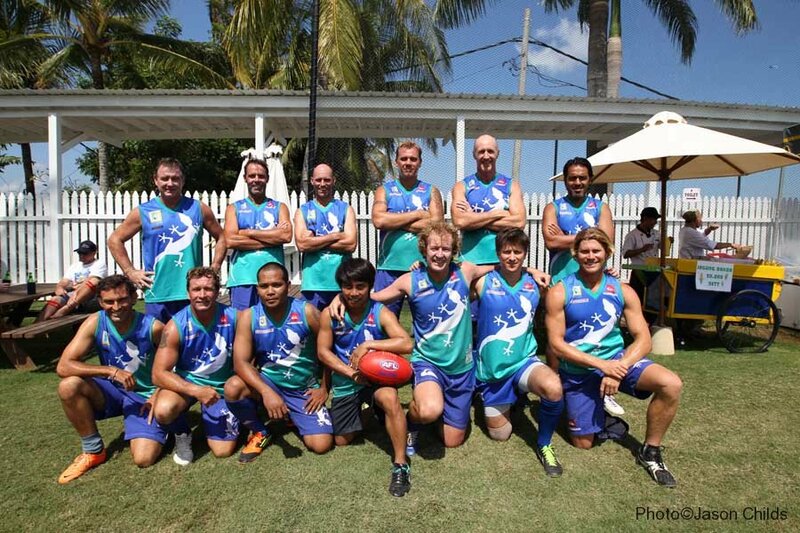 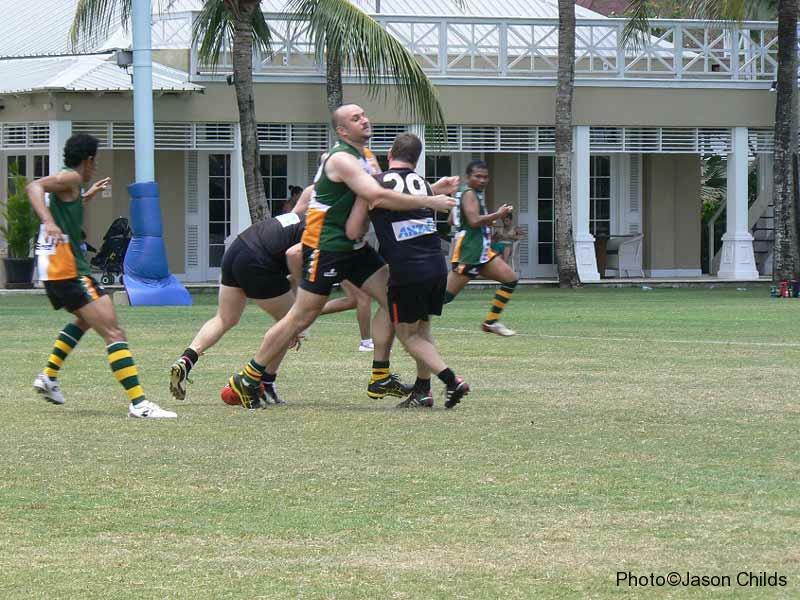 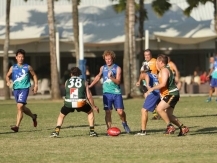 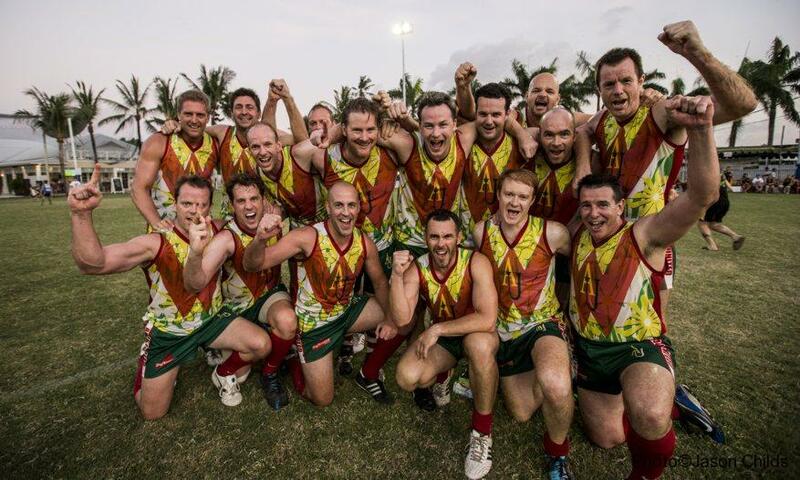 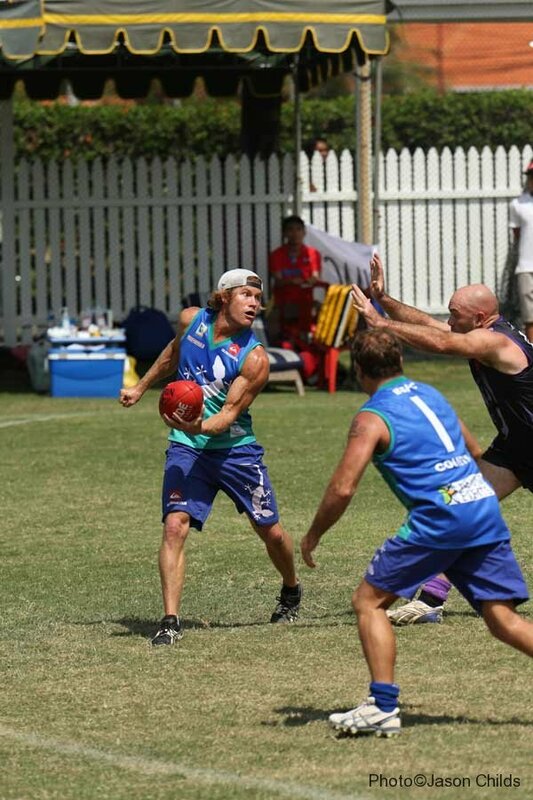 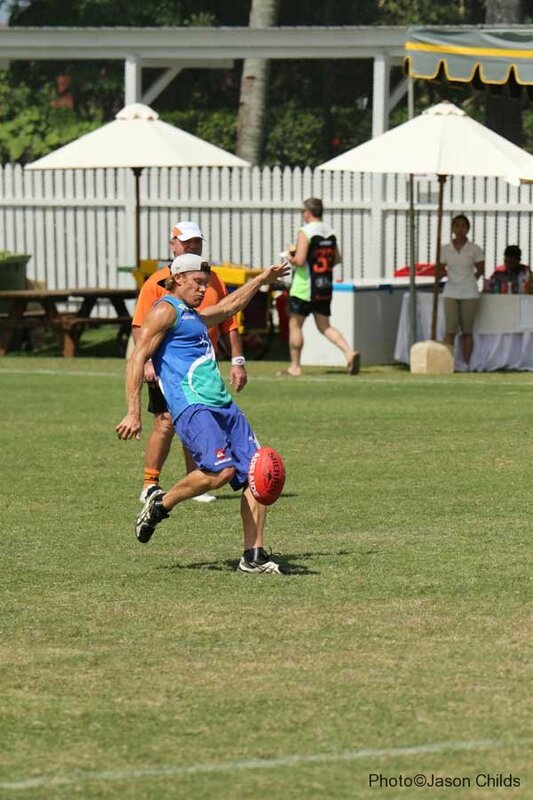 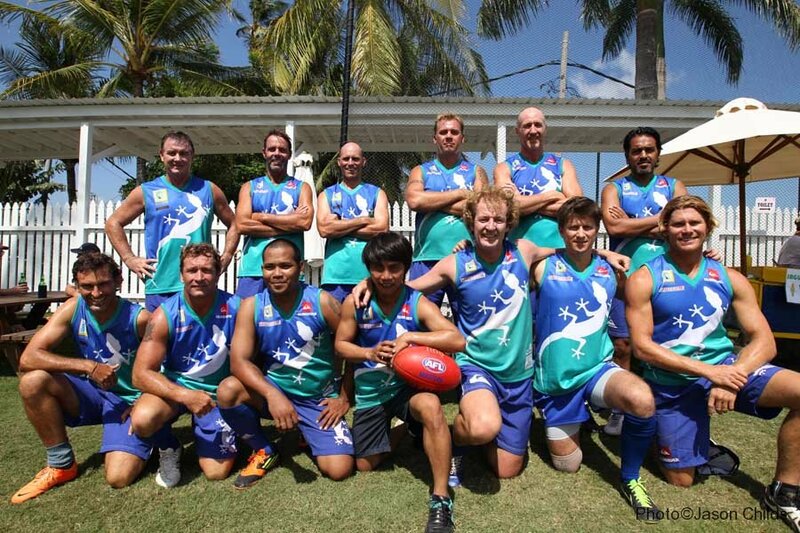 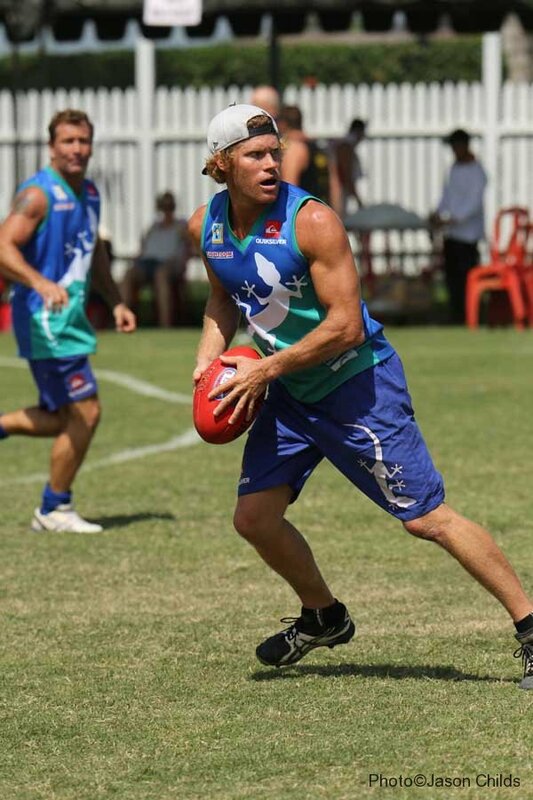 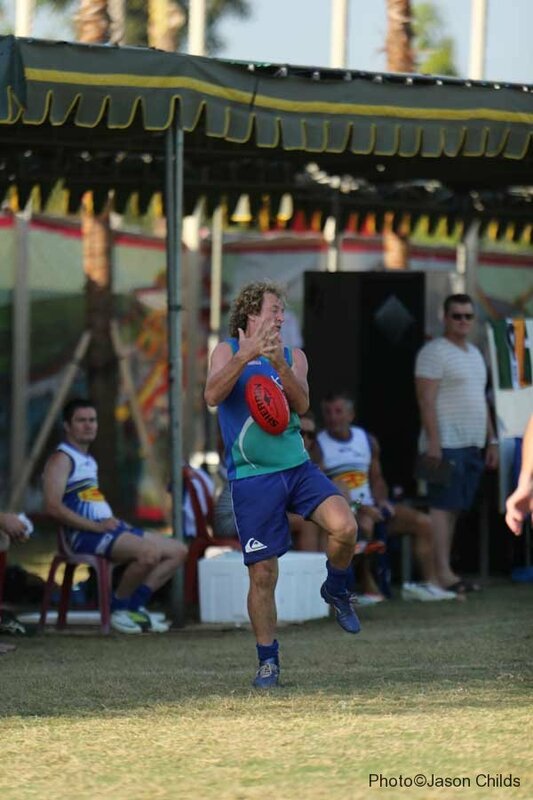 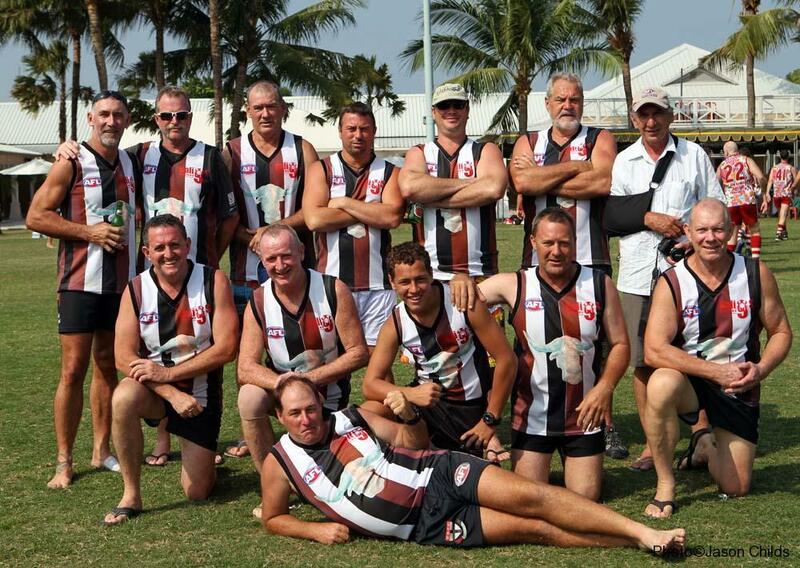 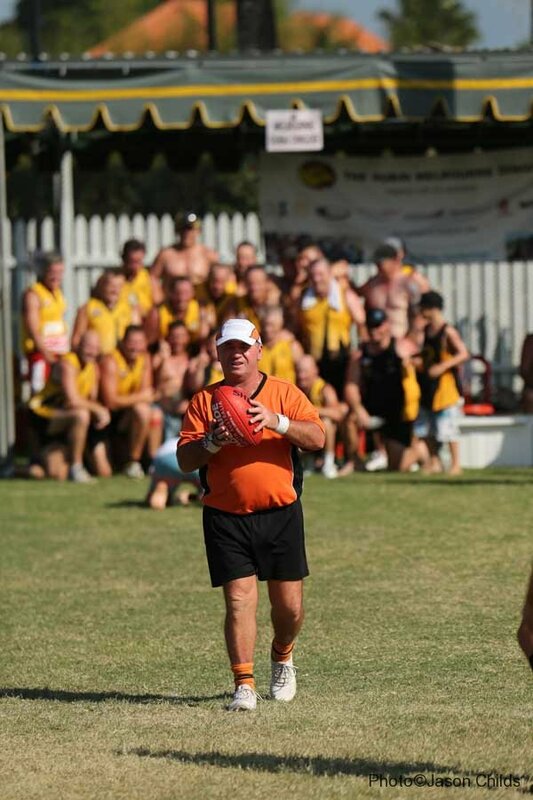 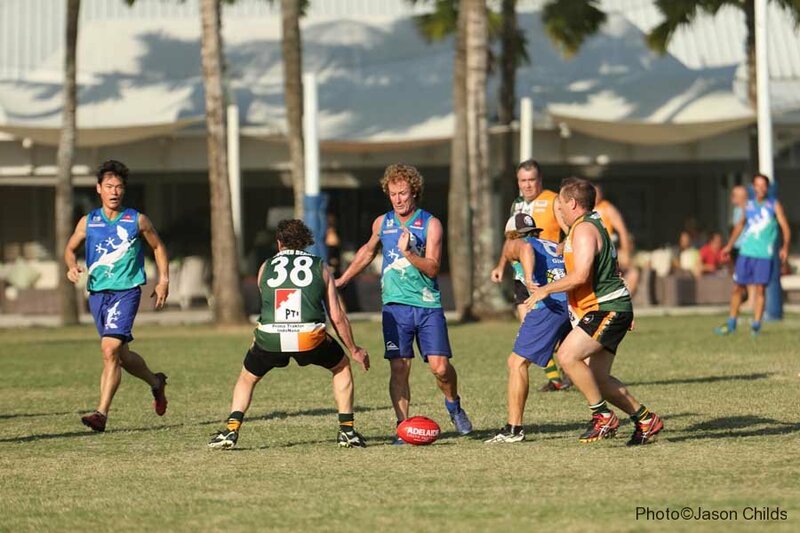 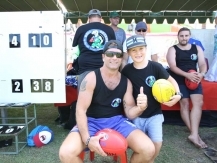 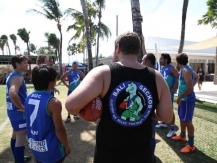 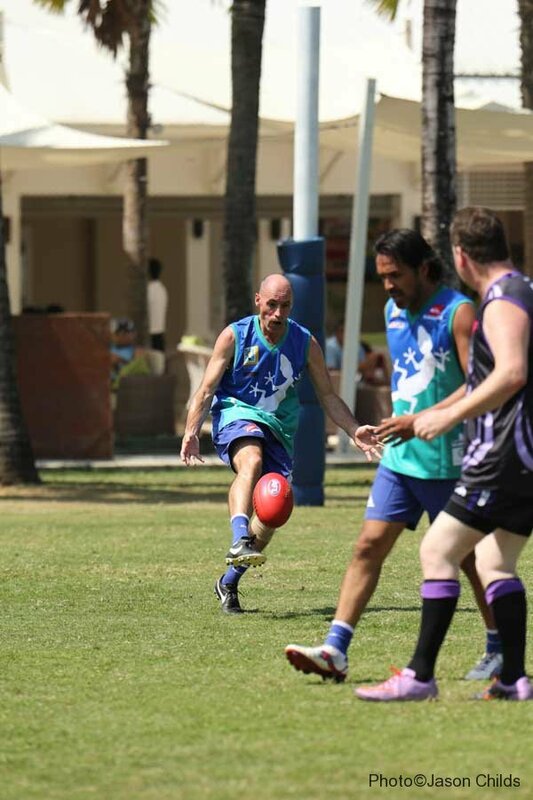 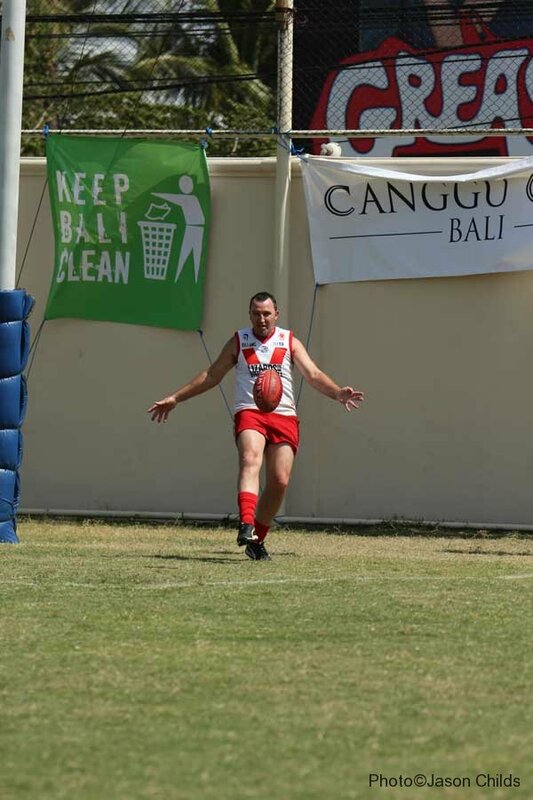 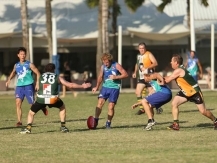 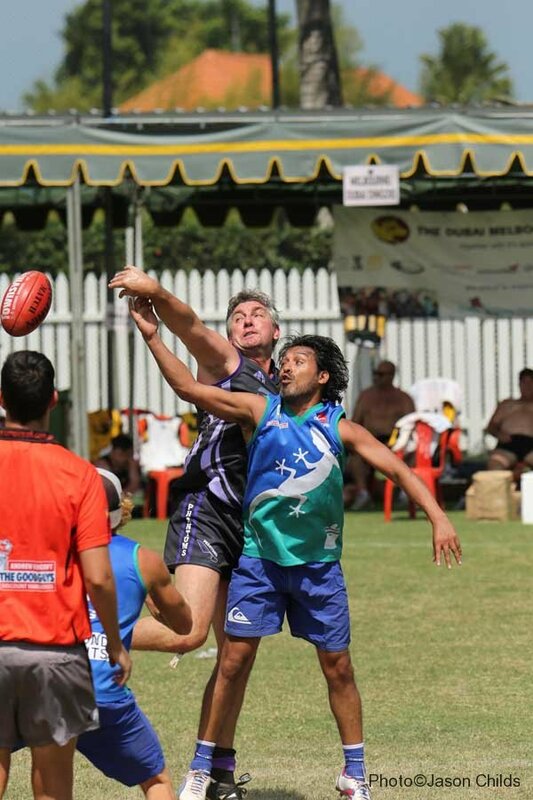 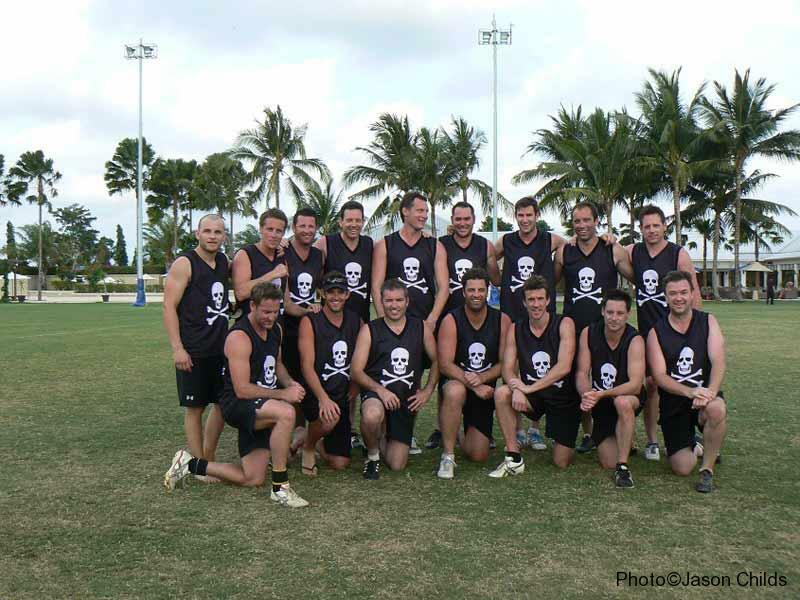 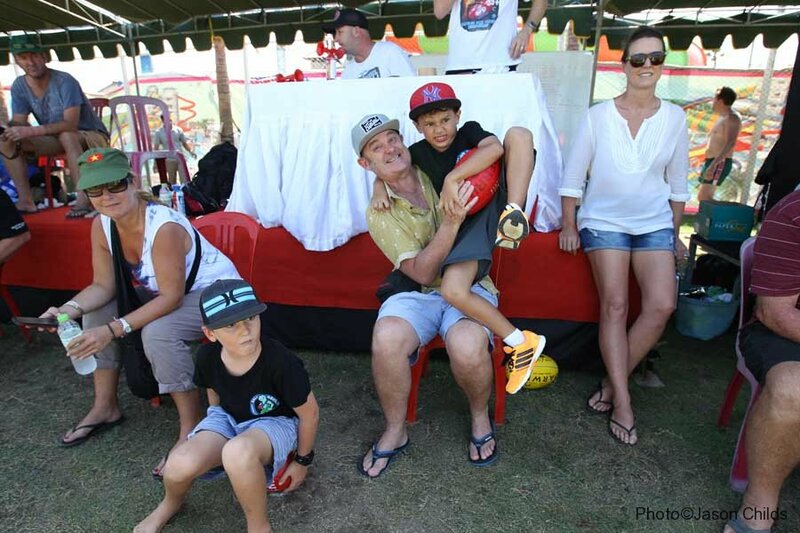 The Plate division for the next division was won by long time Bali Masters supporters, the South Coast Buccaneers. 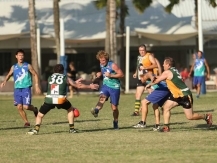 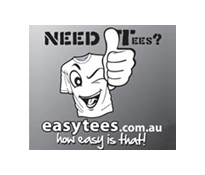 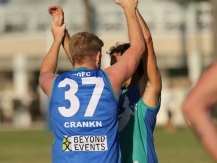 They defeated debutants, the Adelaide Phantoms in the Plate Final. 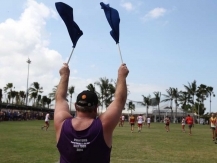 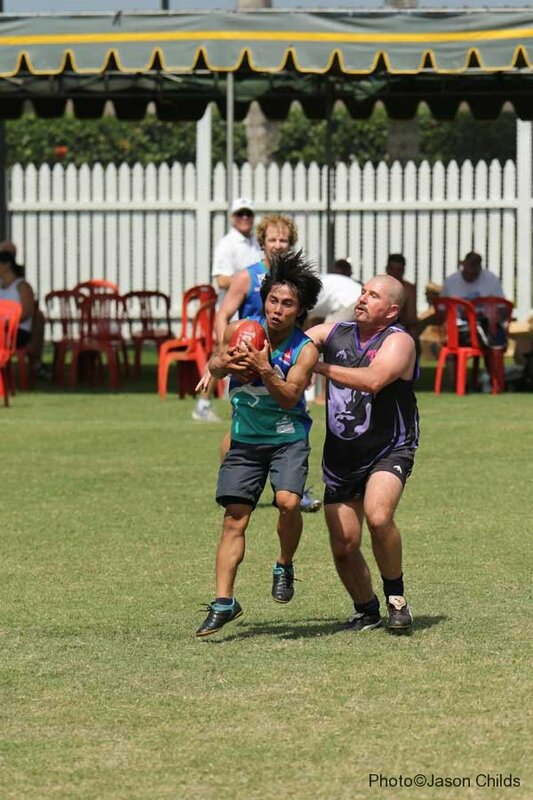 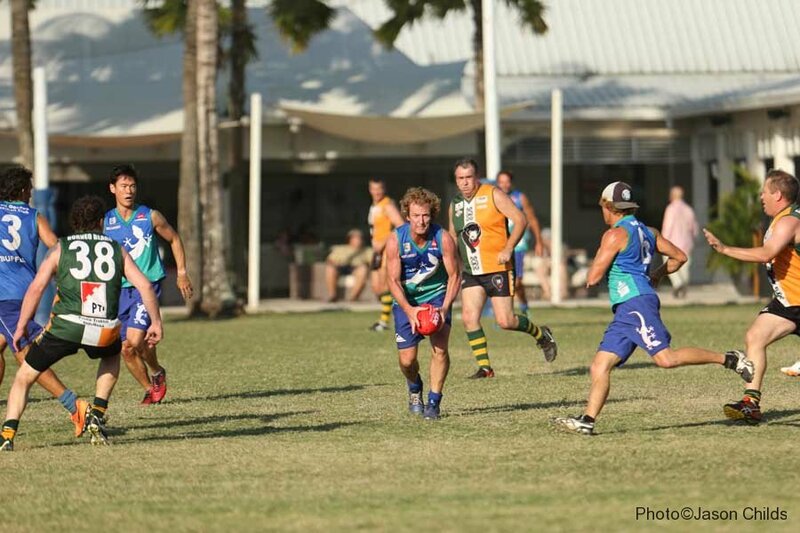 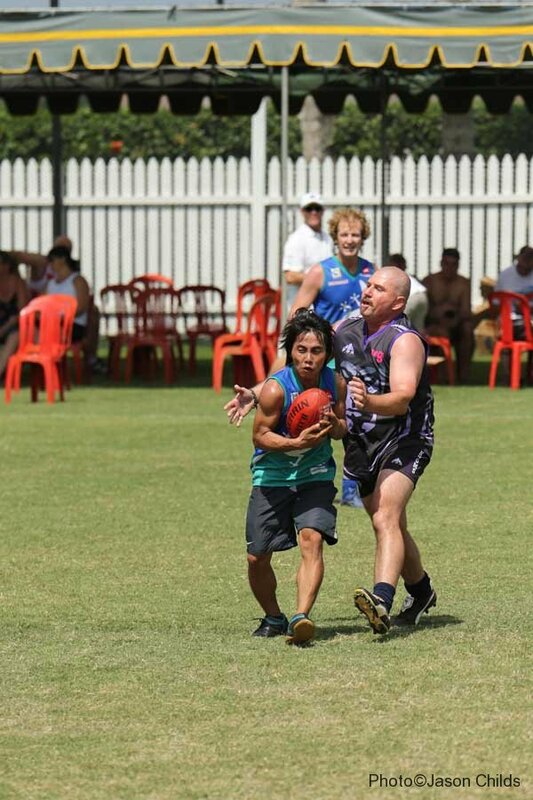 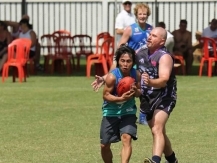 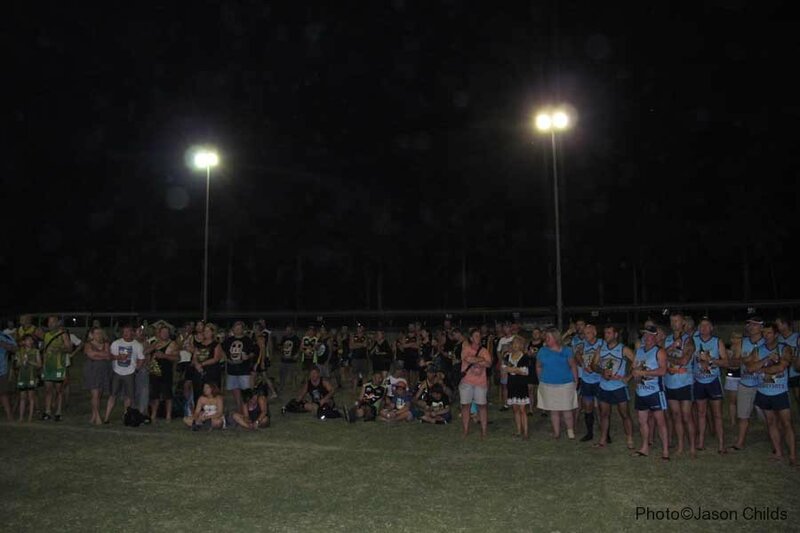 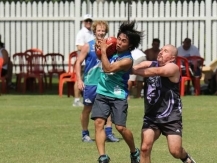 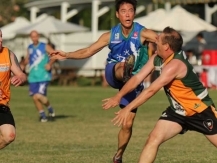 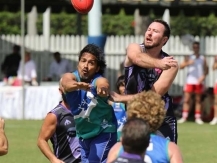 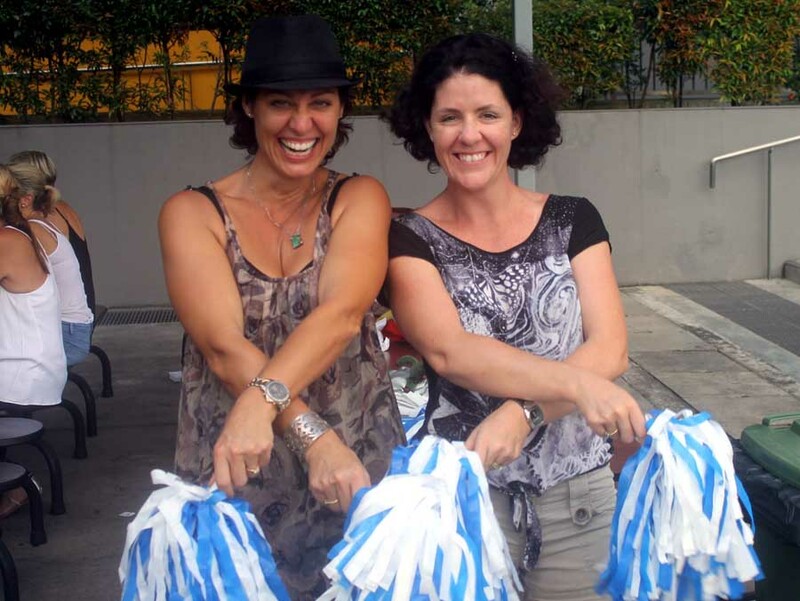 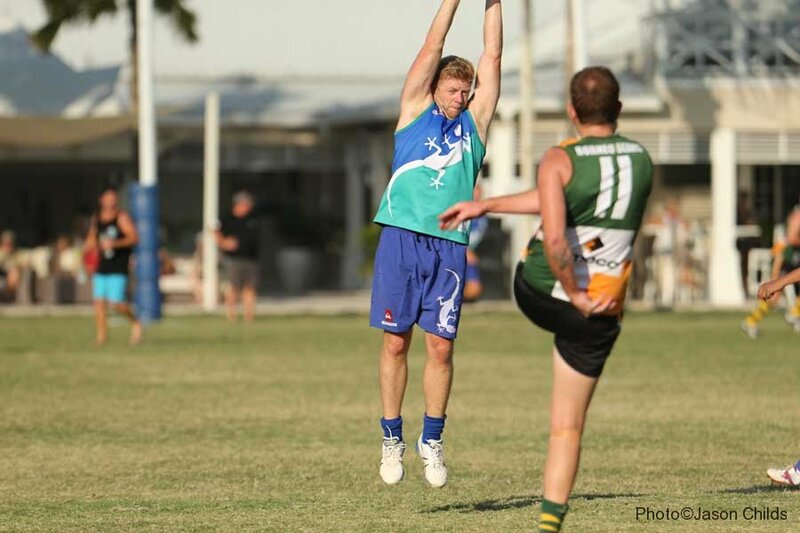 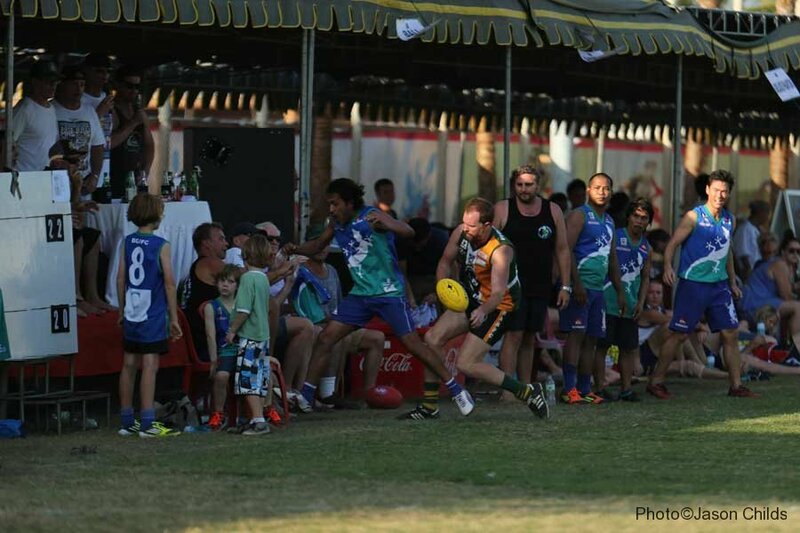 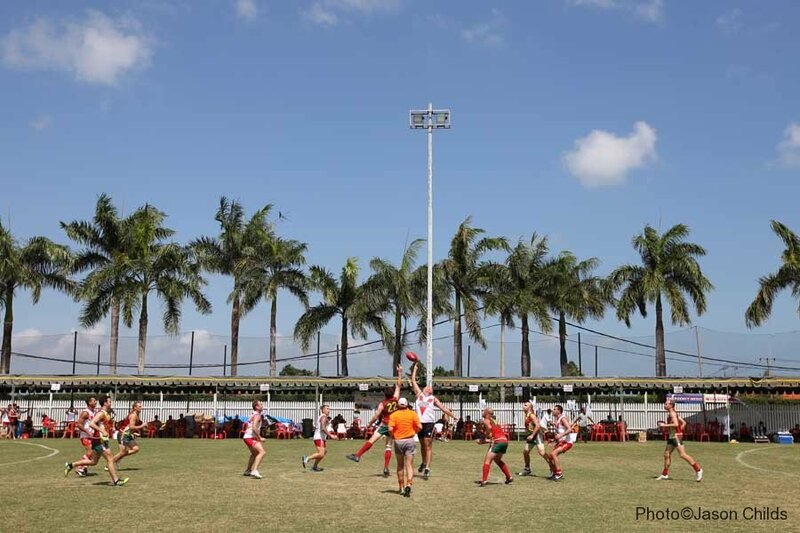 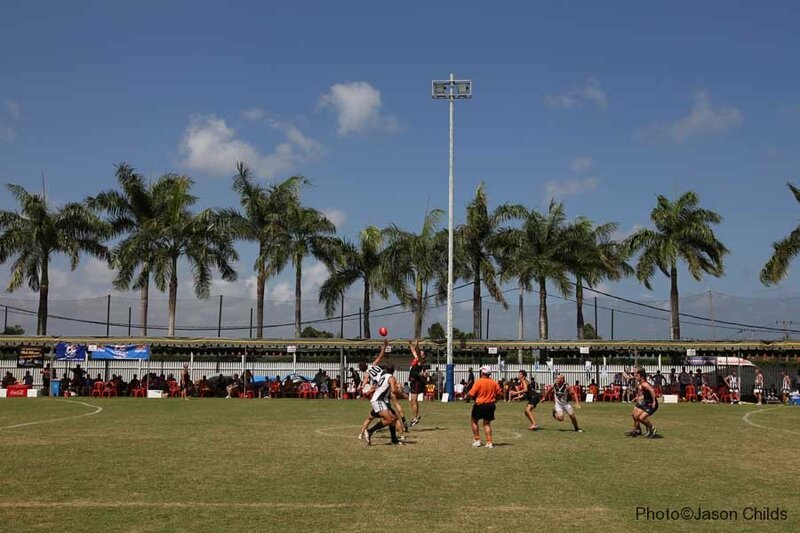 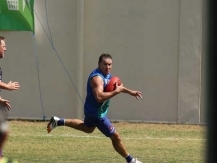 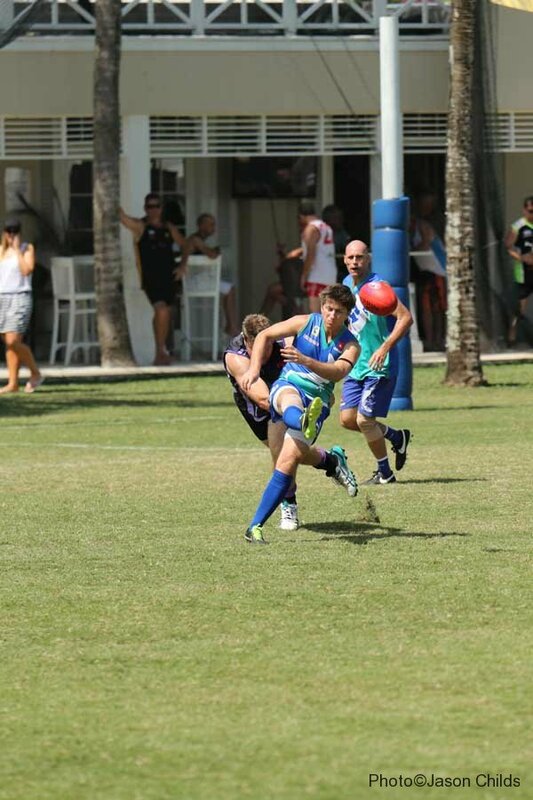 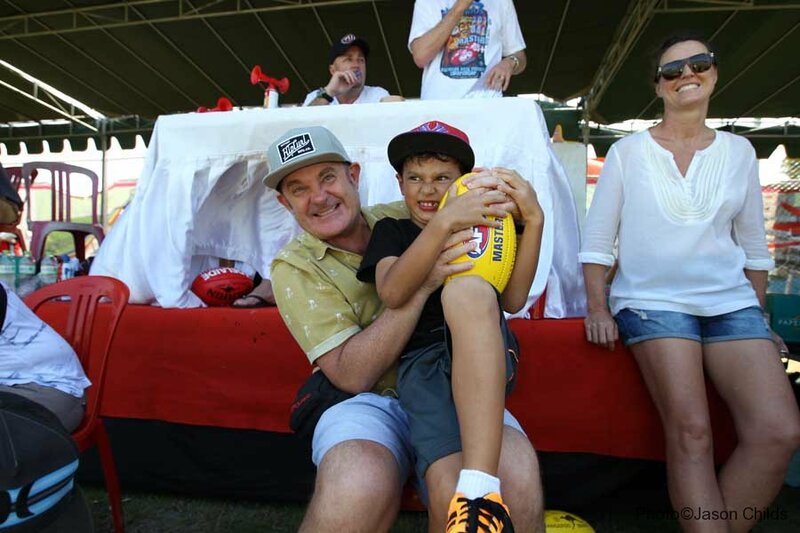 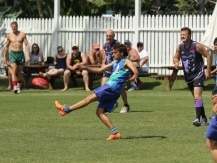 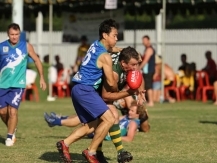 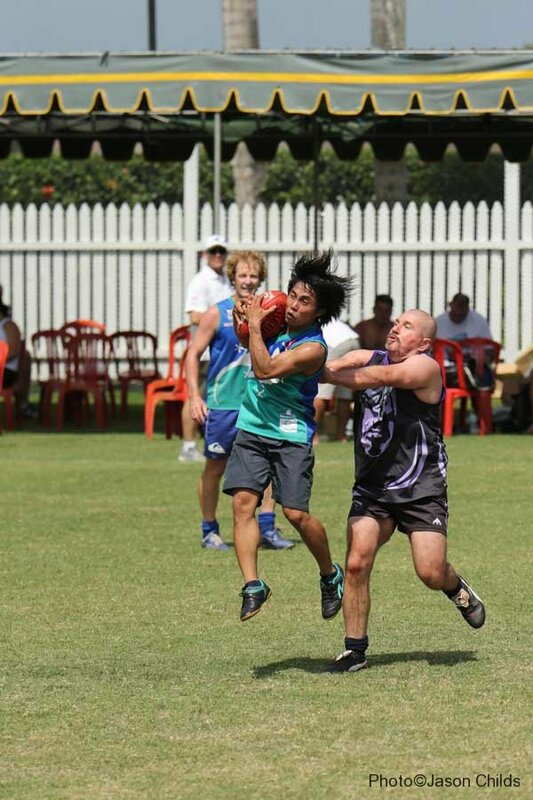 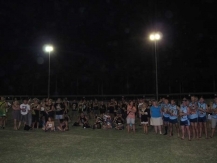 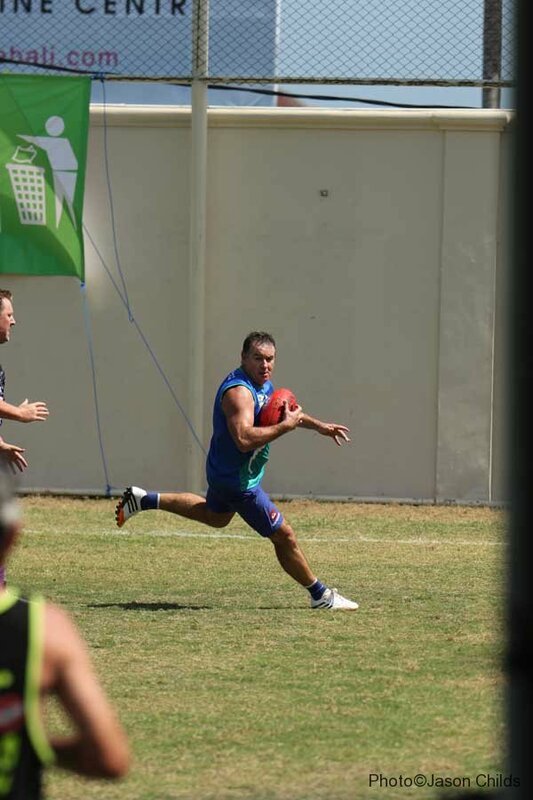 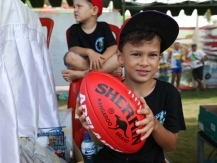 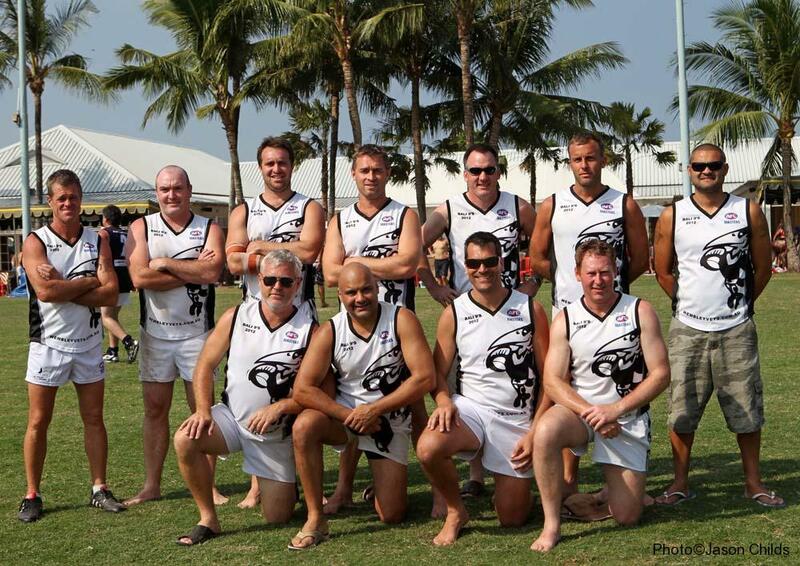 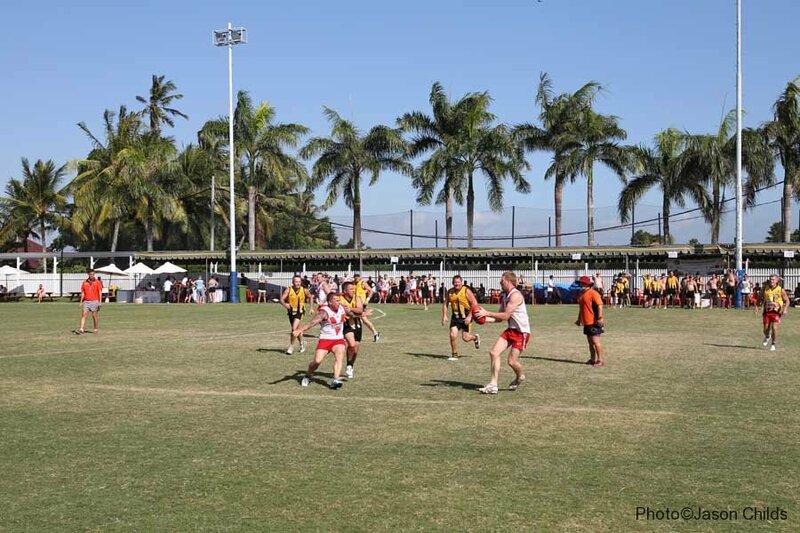 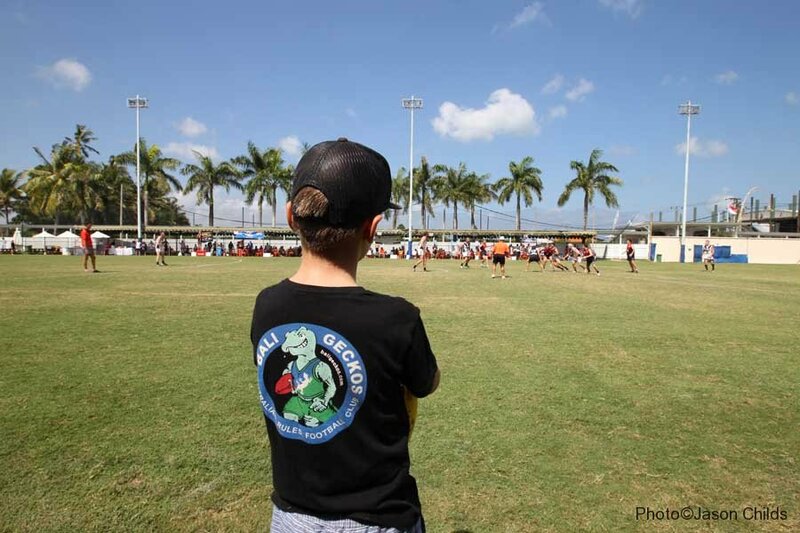 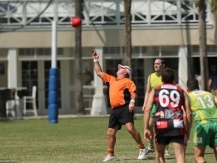 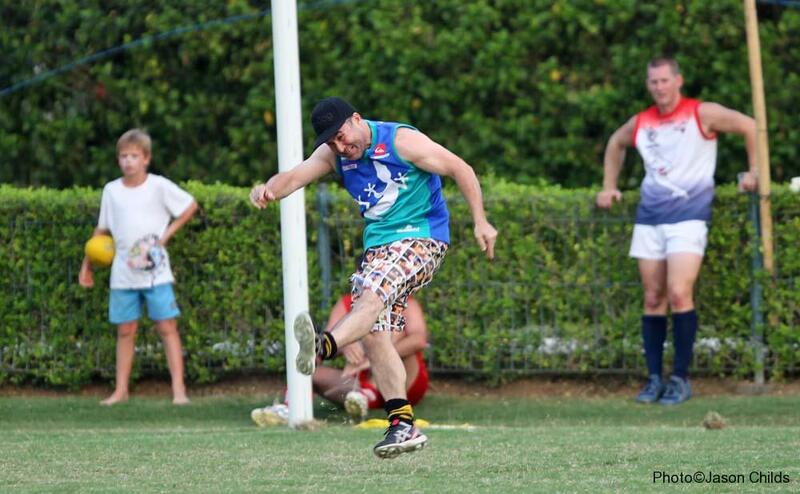 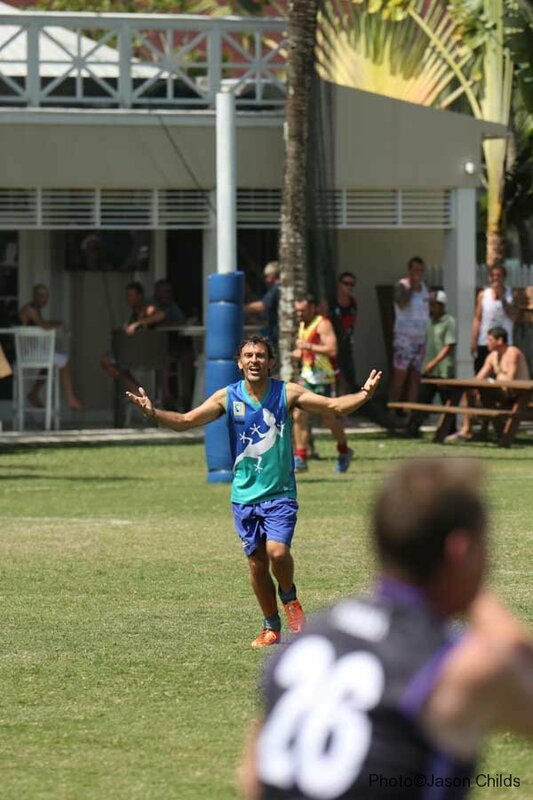 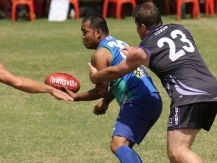 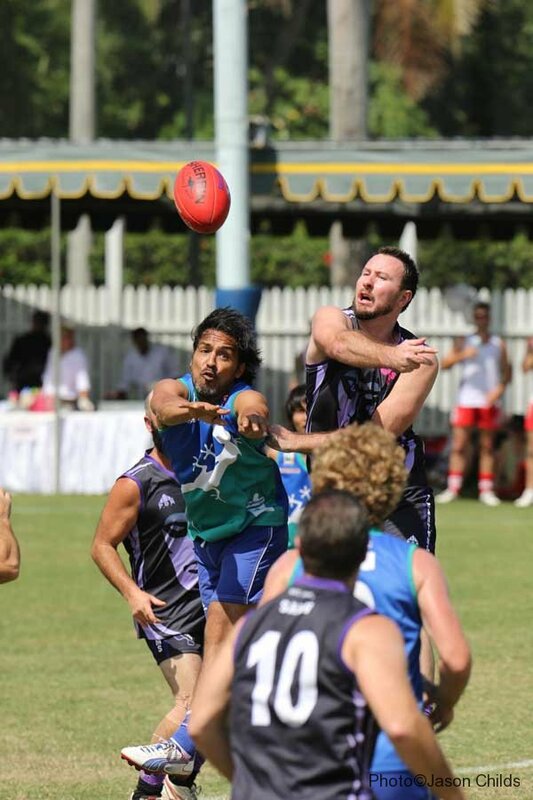 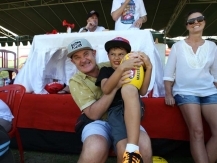 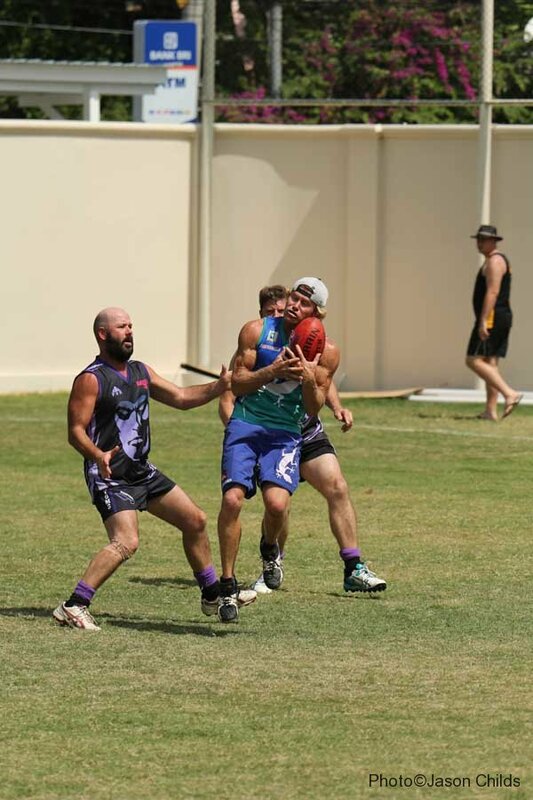 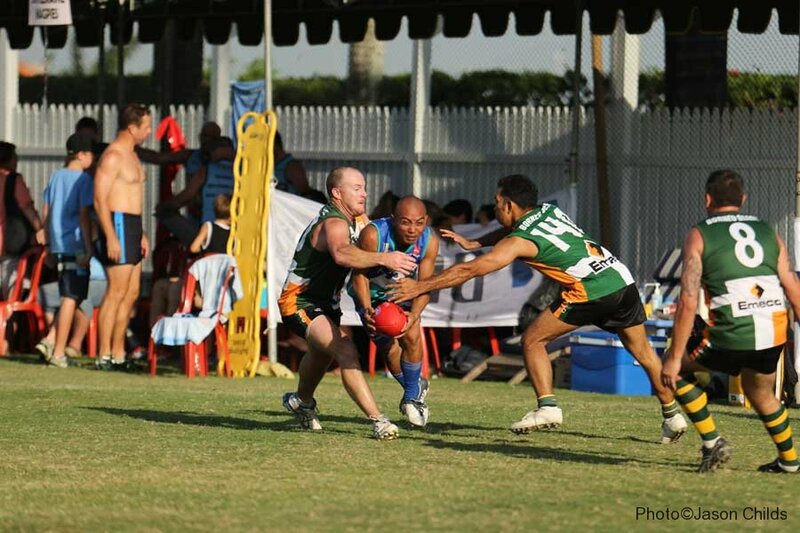 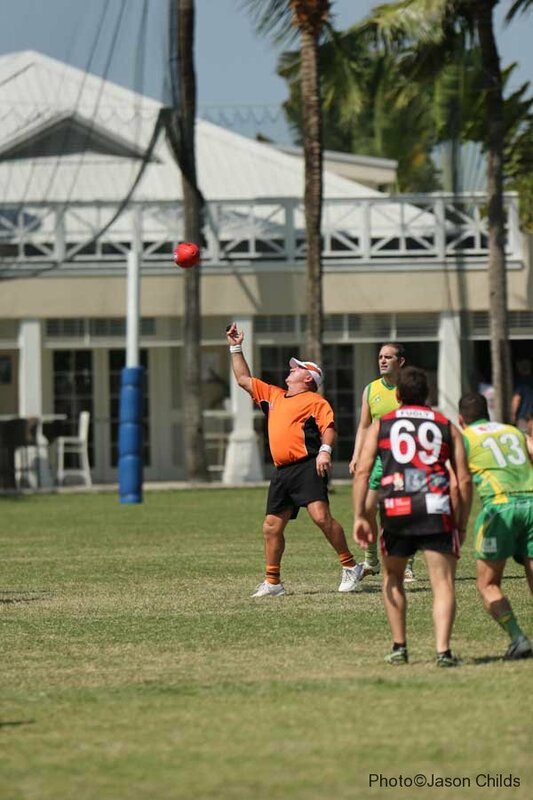 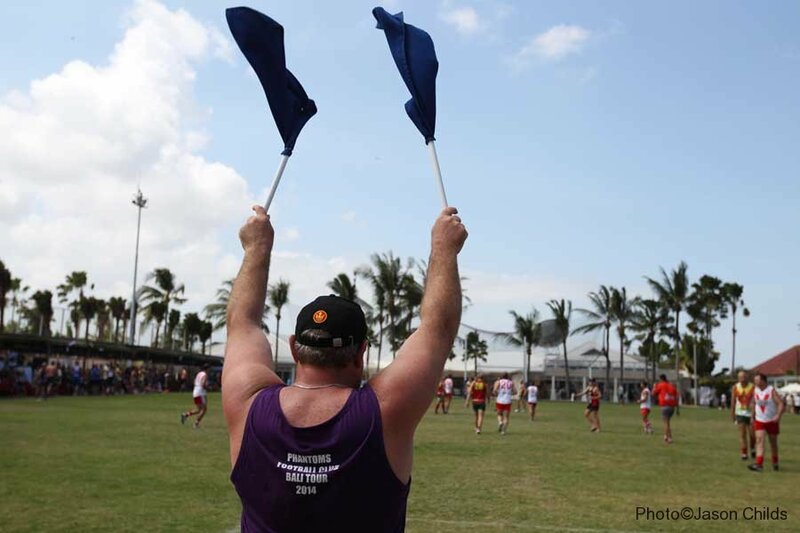 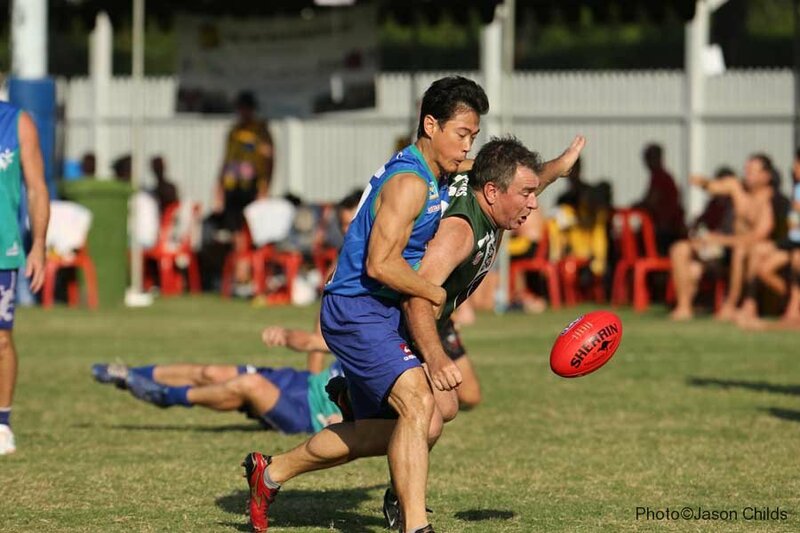 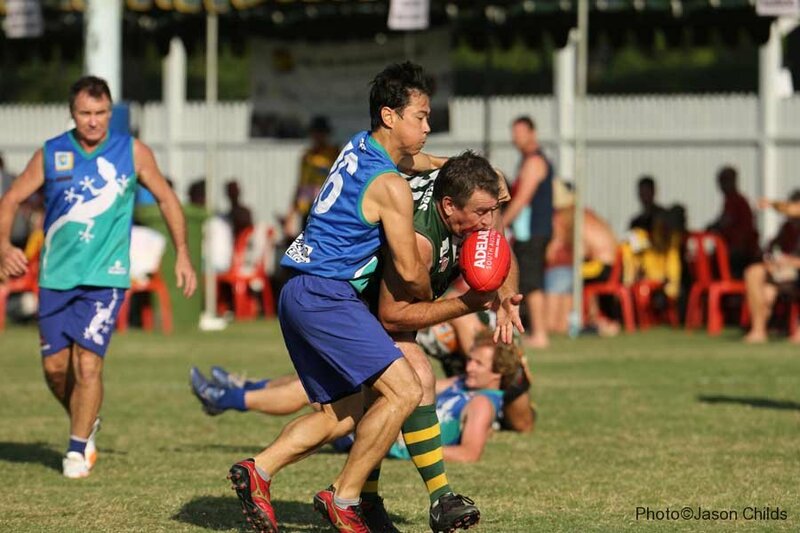 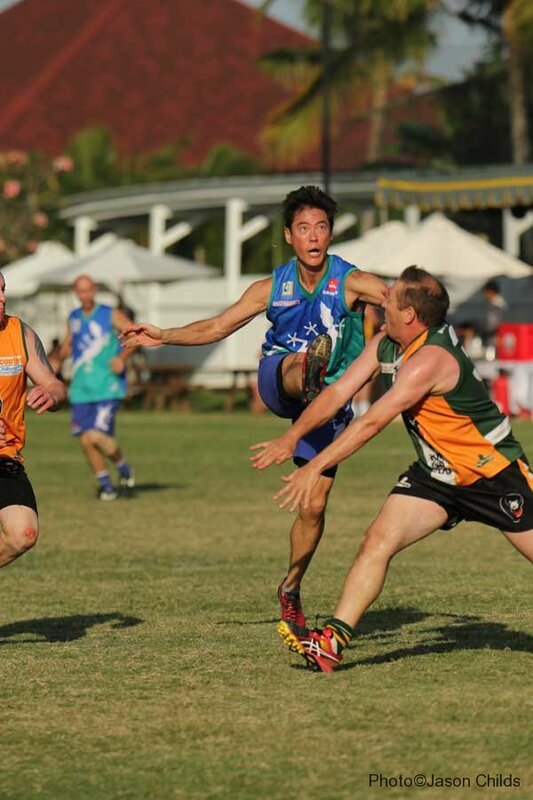 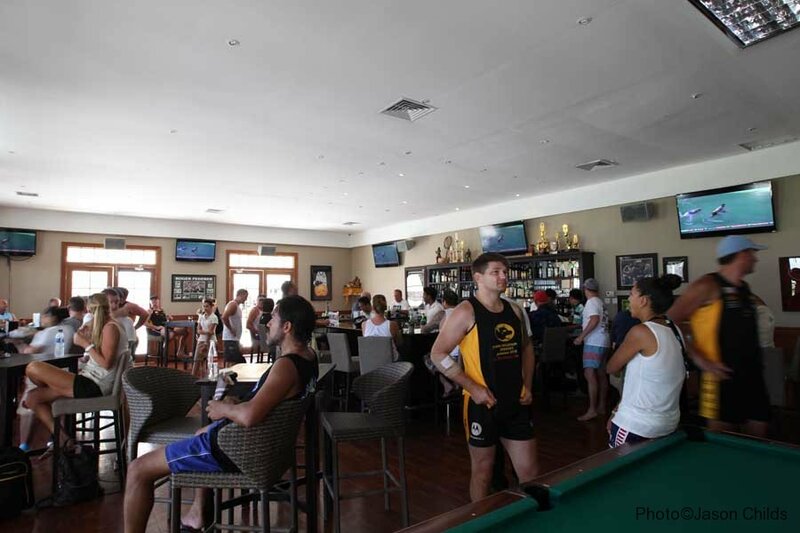 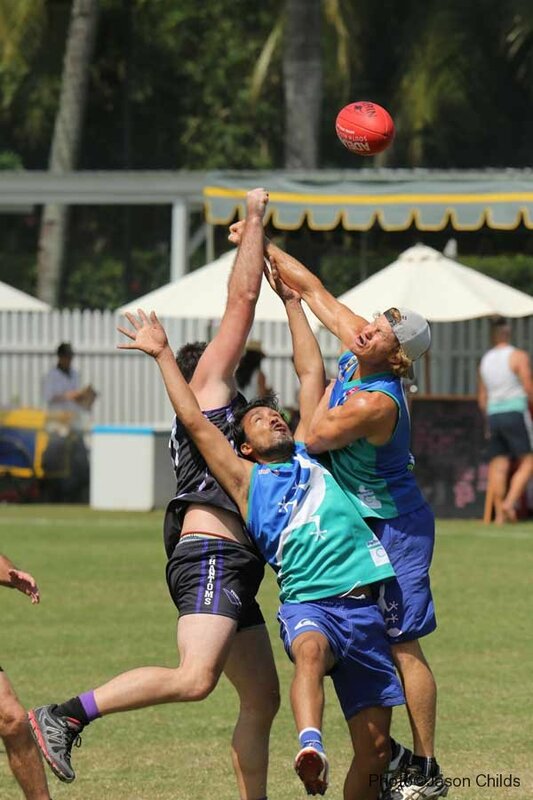 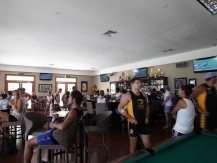 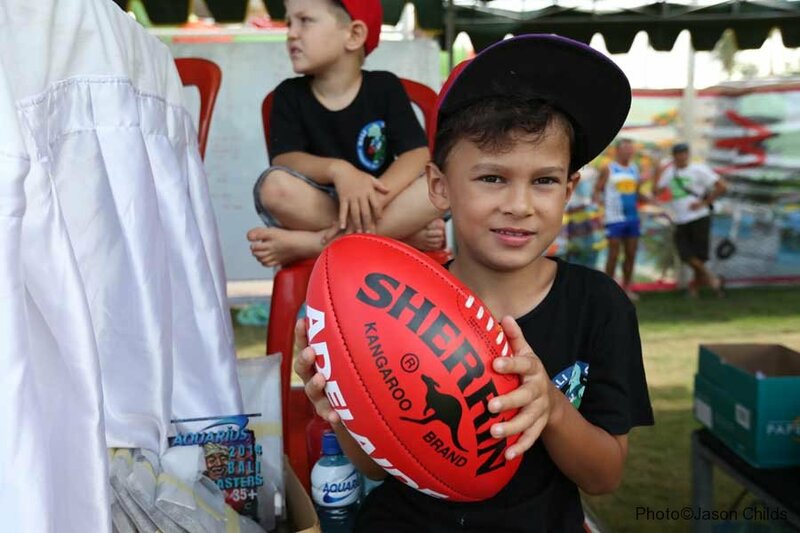 The Northern Warriors from Perth took out the Bowl division, the Singapore Sharks the Shield, and in a big day for the Singapore clubs, the Singapore Wombats took home the Spoon. 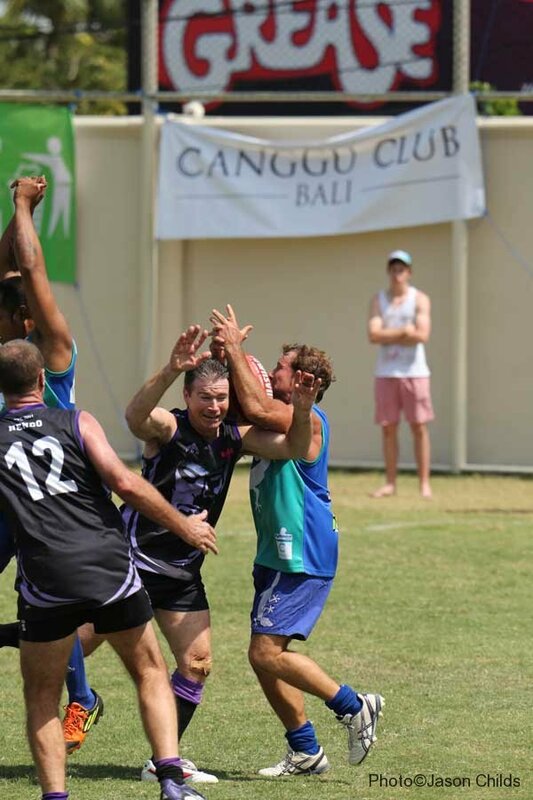 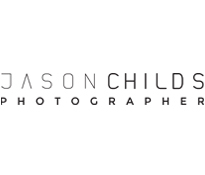 A big thank you to the Canggu Club for hosting the event, Aquarius for keeping the players hydrated over the two days and Easy Tees for providing the event artwork and Tee shirts and Jason Childs for the excellent photography.